Raise your hand if you forget to read information books at storytime. It’s true. It’s not that I don’t want to read information books at storytime. I think it’s mostly that I’m more aware of fiction and thus more likely to try it out in storytime. But I would really like to change that. 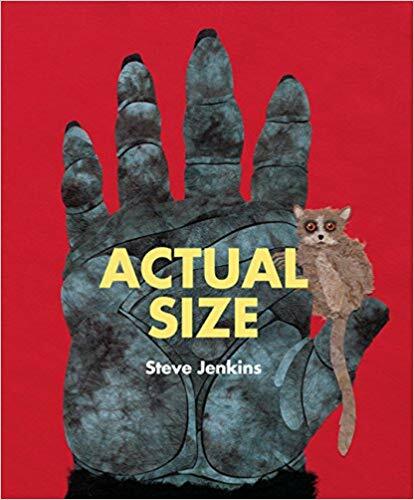 Not only would reading information books in storytime raise awareness about that part of our collection, it also caters to kids who like facts. 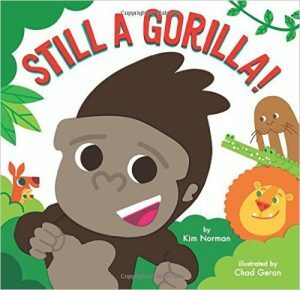 So I’ve done some digging and gathered resources for all of us who would like to be more intentional about including nonfiction books in storytime. Before I begin, I’d like to acknowledge that some books blur the line between fiction and nonfiction. Just checking a book in two different library catalogues will often give two different results. 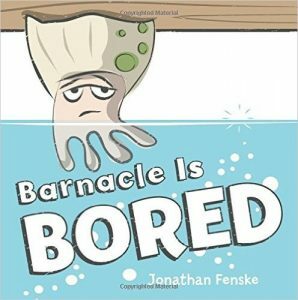 Nonfiction Monday had a recent blog post with some examples. Some of the books listed here may be catalogued as children’s fiction in your system. Cross checking these one with your library’s holdings is a great way to get to know your library collection better. 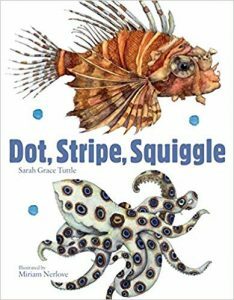 And here are some of my favourite nonfiction books to use in storytime. I’ve given ideas for books you could pair them with if you wanted to stick to a theme. The super large format makes this a great choice for large groups. Have kids come up and put their hand next to the animal on the page so they can compare. 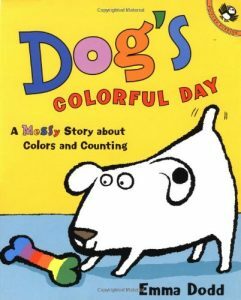 With only 1 -2 short sentences per page this one works great for toddlers and preschoolers. Pairs great with From Head to Toe by Eric Carle where you can act out animals of sizes. I love the big photograph spreads and the short amount of text. Perfect for babies and toddlers alike. A true celebration of friendship. 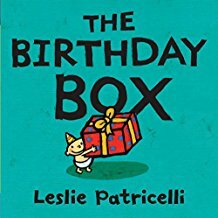 There are so many great options to read along with this one if you want to stick with a friendship theme. 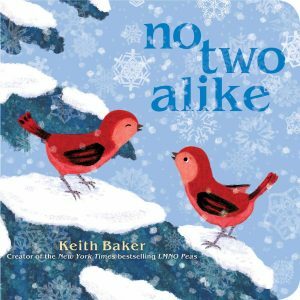 This one is a little text heavy so recommended for smaller preschool groups up to grade 2. 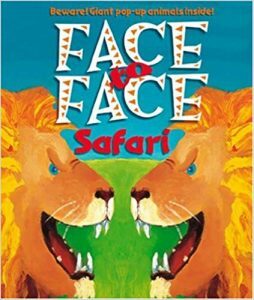 Surveys a variety of animals and how they get around in the natural world. The wildlife photographs are the star. 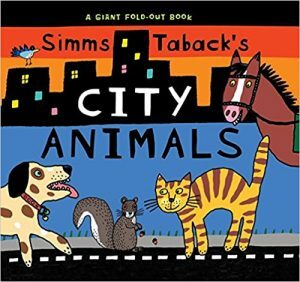 Don’t miss the author’s second book Baby Animals Playing. 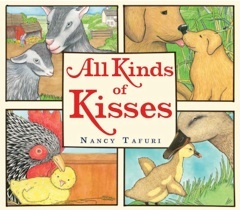 Inquisitive preschoolers will love learning about how different animals keep their babies safe. I like how each spread focuses on one animal so you can spend time discussing it or quickly move on to the next. 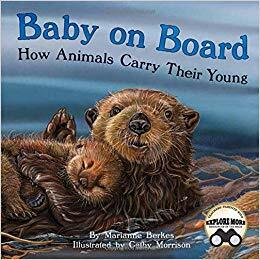 If you have a small group it would be fun to pass out stuffed animals or puppets after reading and have the kids practice carrying their “babies.” I’d pair this with a lively book like The Babies on the Bus by Karen Katz. A short and sweet journey through the circle of life in the forest. Good for small groups due to the size of the book. 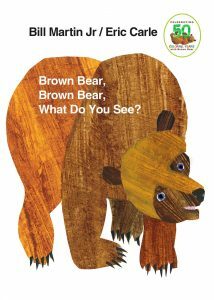 Read it with toddlers and label each object; read it with preschoolers and help them make connections between the objects. 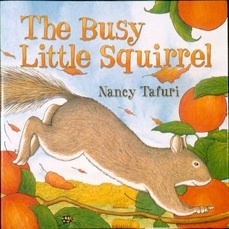 Pair with a fall themed book like The Busy Little Squirrel by Nancy Tafuri to see how animals fit in the ecosystem. 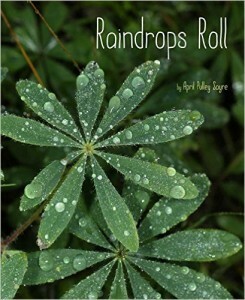 Sayre is a master of nature photography and lyrical writing that feels like poetry. I love reading her books at the start or end of seasons. 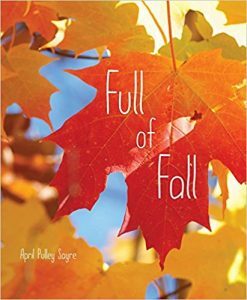 Don’t miss Raindrops Roll and Full of Fall for autumn and her upcoming Bloom Boom in 2019. For another snow-filled story read Snowballs by Lois Ehlert and make some snow people. Yes, it’s about birds but it’s also about forces! 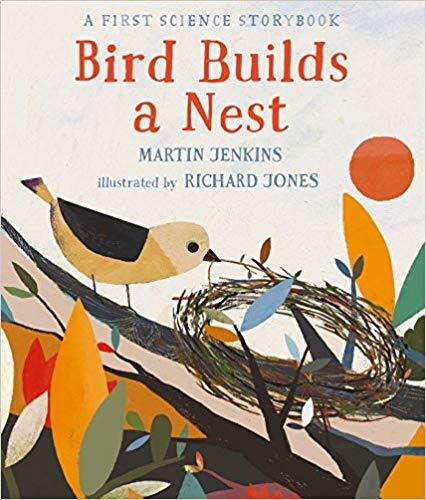 Follow Bird as she pushes and pulls things in nature to build a nest. Perfect for toddlers and preschoolers. 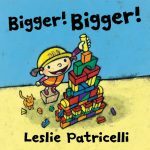 If you focus on the concept of building try Bigger Bigger by Leslie Patricelli too. 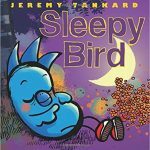 Someone once told me, “The world would be a better place if everyone was a bird watcher.” This book helps fulfill that wish. Simple sentences show a variety of nests. Each bird is labeled so you can give specific names if the kids have the attention span. 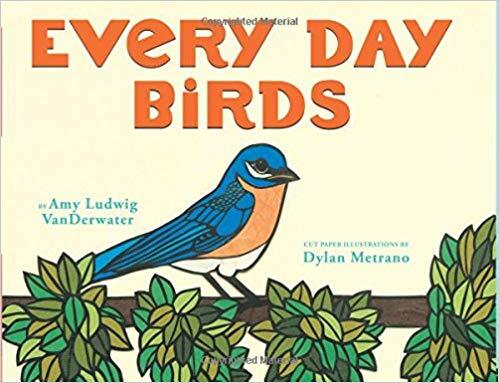 Any bird themed book would pair well, and I’d definitely use my Two Little Bluebirds rhyme. 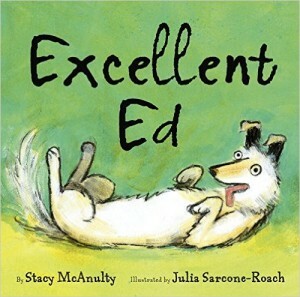 I sent this book in with my niece’s Grade 2 class and they loved it as a read aloud. 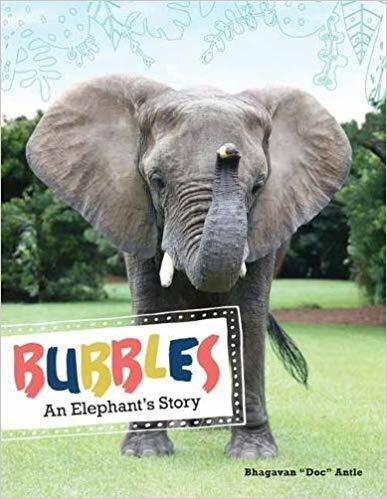 It’s narrative nonfiction, telling the story of Bubbles and how he was saved from ivory poachers. 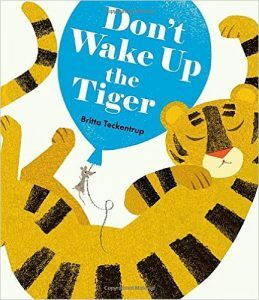 I think Mr. Tiger Goes Wild by Peter Brown ties in nicely with the message around the hope of animals being able to live freely in the wild. 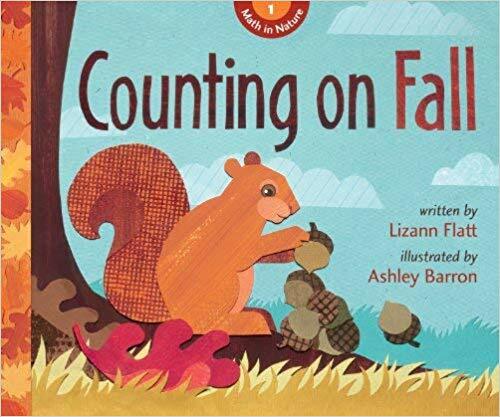 Part of a Math in Nature series that goes through the four seasons, this book has a counting challenge on each page. Best for preschoolers – Grade 1. 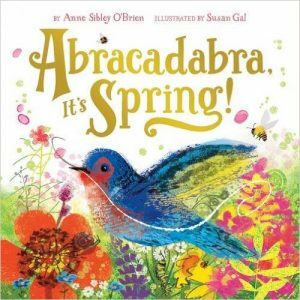 The spring and winter books are more challenging, so I’d stick with this one for an under 5 storytime. I encourage caregivers to take the book home so they can spend more time on each page. I’d pair with something lighthearted such as Everybunny Count! by Ellie Sandall. This one is so clever! Each spread shows four animals and the kids have to guess how they are similar. Perfect for preschool groups who can’t read yet (the answer is written on the page). Really stretches the kids to think creatively. 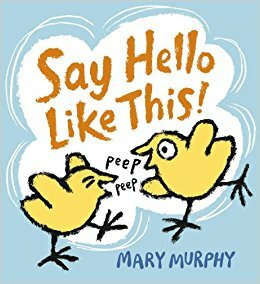 Perfect for toddlers, this book describes one bird per page in a simple sentence. The illustrations are bright and colourful. 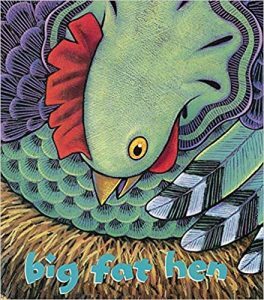 For a funny tale featuring an assortment of feathered friends use Froodle by Antoinette Portis. A wonderful introduction to our amphibian friends. This one works well with preschool – grade 3. I admit Darwin’s Frog kind of grossed me out but still cool to learn about! 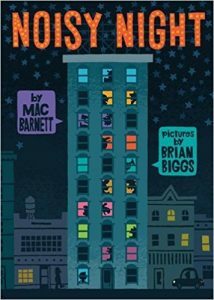 Bust out Big Frog Can’t Fit In by Mo Willems after reading this one. 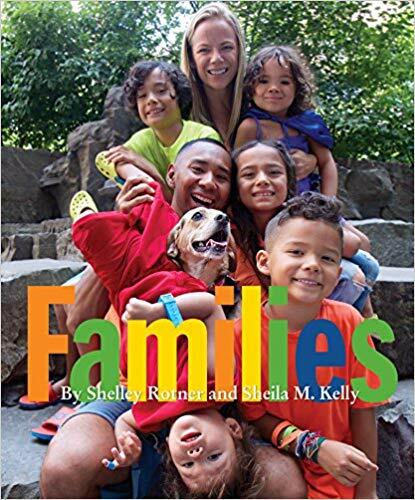 Diverse families are photographed and featured in this text that describes what different families look like and how families interact. Great for toddlers and up. I love reading with one of Todd Parr’s books about families. I love the use of metaphor in this flower book. Try asking the kids what they think each flower looks like. 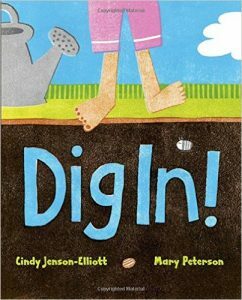 Perfect for springtime when flowers are blooming so you can encourage families to spend time comparing what they find outside. 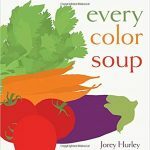 Pairs perfectly with Planting a Rainbow by Lois Ehlert. One of my co-workers starts every storytime with a poem which I think is a lovely idea. Living right on the ocean, I’m drawn to this collection about the sea. The pages are large and the poems are filled with unique vocabulary. A beautiful start to an under the sea storytime. 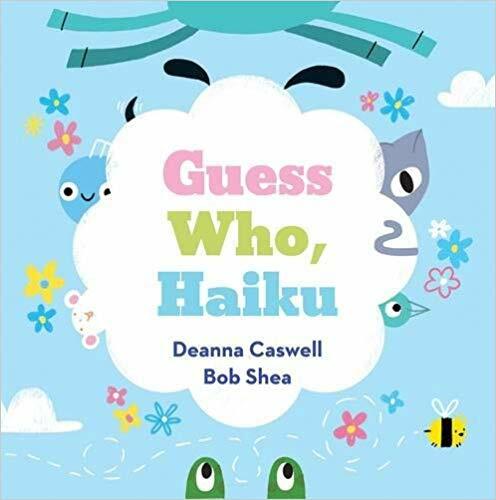 An animal guessing game that uses the poetic form of haiku. Works great with preschoolers who will feel proud when they know the answers. A great way to show caregivers how fun poetry can be! 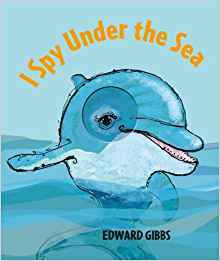 Pair with another guessing game like I Spy With My Little Eye by Edward Gibbs. A poetic take on the water cycle and all the ways water exists in the world. 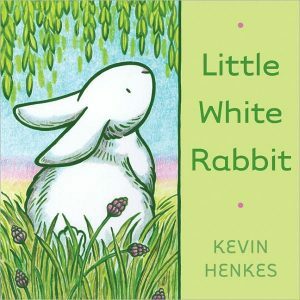 I like it for the short text that allows you to add in more detailed explanations as you read with preschoolers. 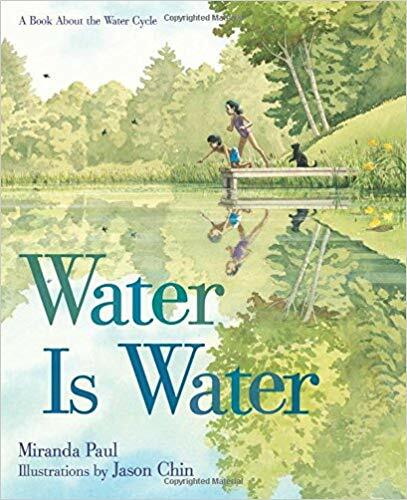 The book is written from the point of view of water which is also unique. 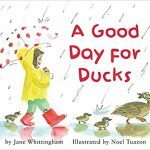 Pair with a rain-filled story such as A Good Day for Ducks by Jane Whittingham. From my 2018 list, this one is perfectly illustrated for large groups. 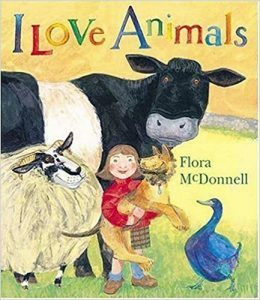 For older groups read the complete text, with toddlers read the first sentence on each page and label the animal. 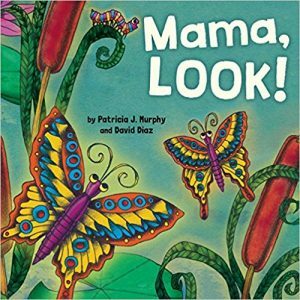 Pair with a fun body part book like We’ve All Got Bellybuttons by David Martin; illustrated by Randy Cecil. 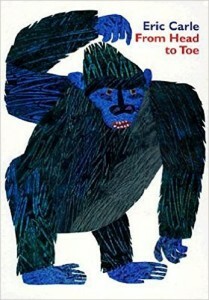 And don’t miss Murphy’s companion book I’ve Got Feet: Fantastical Feet of the Animal World. 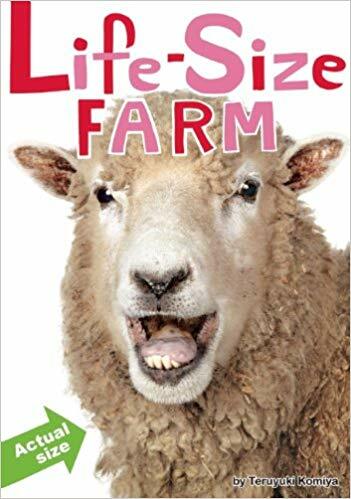 Similar to Actual Size listed above, this book lets kids see farm animals up close and personal. There’s two more in the series Life-Size Zoo and Life-Size Aquarium. Great for big groups. 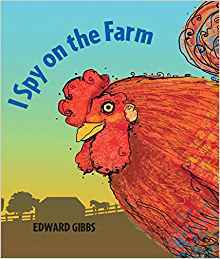 Pair with any farm animal story of your choice. 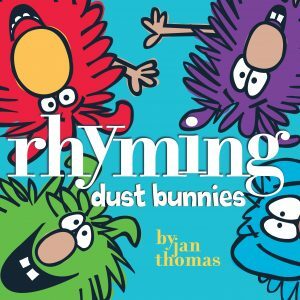 Longer rhyming text makes this a good choice for preschool – Grade 2. 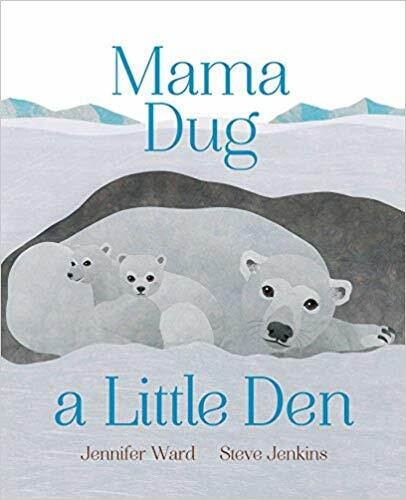 Discover all the burrows and nooks animals carve out for their babies. Storytime Katie has lots of other ideas for houses and homes themed storytime. 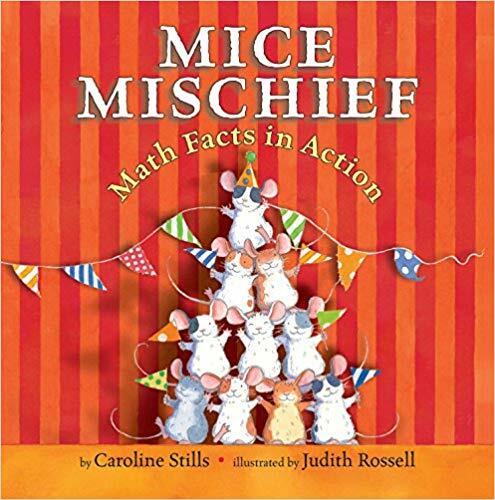 Follow Mice on their silly adventures as you figure out different ways to add numbers to equal ten. The text is very simple. You can have kids use their fingers to count on each page. 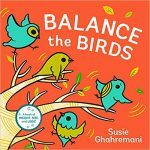 It pairs great with Balance the Birds by Susie Ghahremani which also deals with number combinations to figure out balance. Another storytime poetry read aloud win. 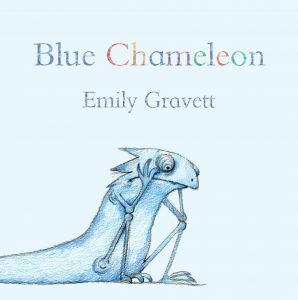 Bright, large pages feature poems about all the little critters we find outside. 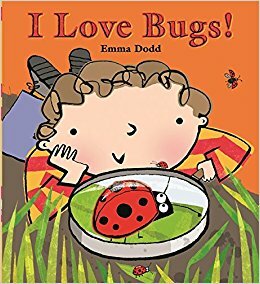 Try reading one of the poems during a bugs and insects storytime. 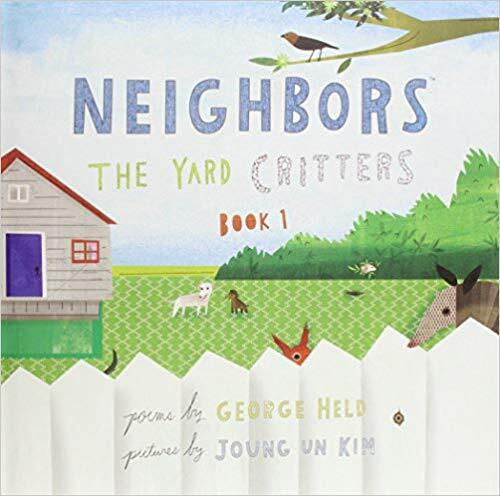 Don’t miss the others in this series: The Yard Critters Too and The Water Critters. Follow the life cycle as you venture deeper into the jungle. I love the way the illustrations pop off the page due to the dark background. The repetitive phrase “Once upon a…” is a great for toddlers and the text is brief. Preschoolers will engage more with what happens to each animal and how it contributes to the ecosystem. 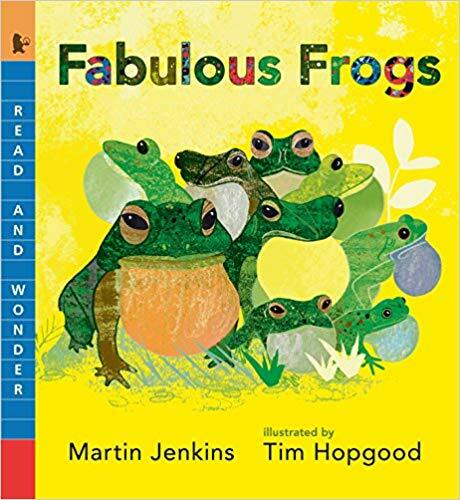 I think this one works great with The Wide Mouthed Frog by Keith Faulkner; illustrated by Jonathan Lambert which also features wild animals and what they eat. 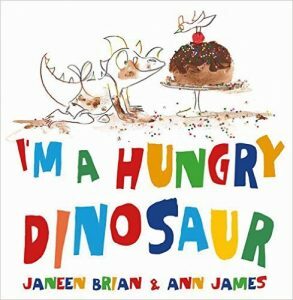 A simple introduction to dinosaurs that is perfect for babies and toddlers. The pages are big and bright, the sentences simple. Go the extra step by learning how to pronounce each of the labeled dinosaurs to wow your crows. I love the end pages with include a phonetic spelling guide. 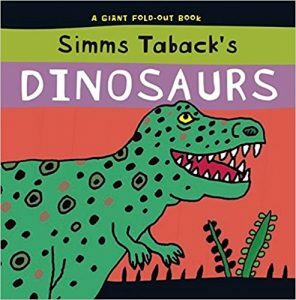 Choose your favourite dinosaur book to read with it. I’ve done a series of blog posts on the importance of talking to kids about race from a young age. They are naturally inquisitive. 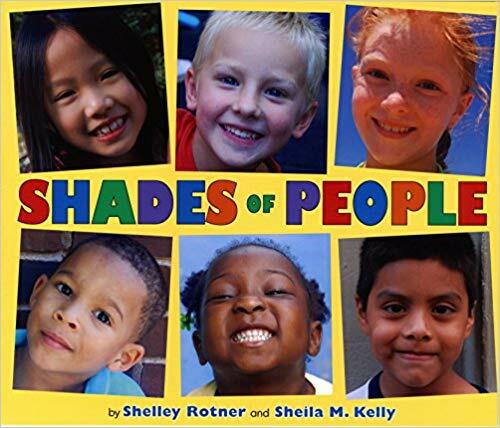 This book introduces the concept of race and ethnicity and encourages us to celebrate all skin colours. Any of the books on All About Me theme would pair well. 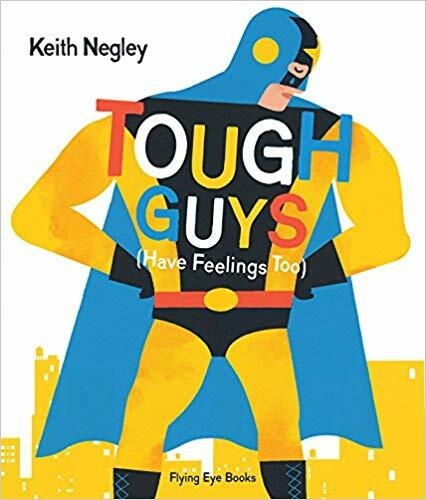 A simple depiction of the range of emotions “tough guys” experience. 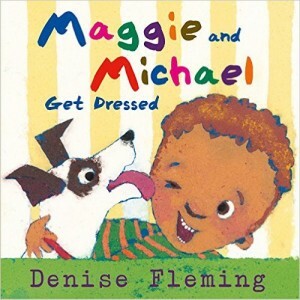 The text is straightforward and short, making it suitable for toddlers and preschoolers. 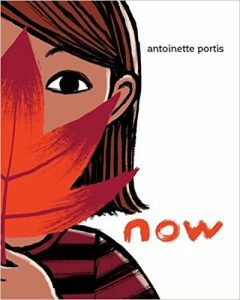 Pause on each page to identify the emotions of each character. A wonderful example of how feelings know no gender. I’d pair with my new favourite board book Why the Face? by Jean Jullien. Don’t forget fairy tales are catalogued as nonfiction! From my 2017 list comes this classic tale retold by a master storyteller. Try doing it as a felt story or puppet story the following weeks to practice telling stories in many ways. 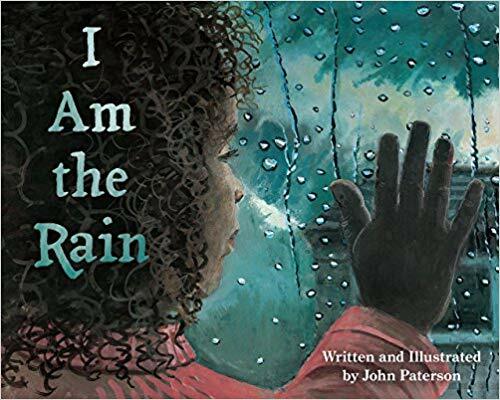 This one has spare text and lends itself well to discussion as you follow two kids through the water cycle. Also a great everyday diversity title. 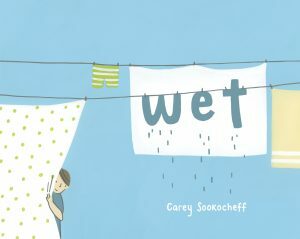 Read more about the physical properties of water in Wet by Carey Sookocheff. 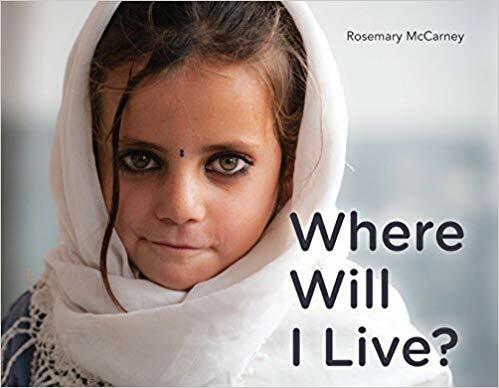 Written as a series of questions a child asks about where they will live after being displaced. A serious topic and the photographs don’t shy away from showing sadness and worry. A great choice for fostering empathy. I think the diverse version of Little Mouse shared by Storytime in the Stacks further illustrated the places people call home. 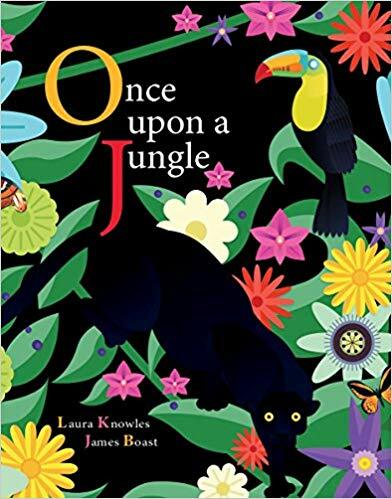 From my 2018 list, this one teaches the concept of colour with an amazing variety of animals. 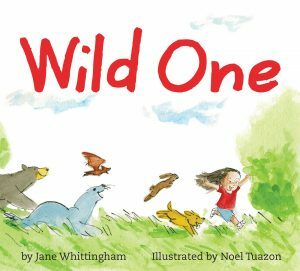 Go the colour route with another storytime pick or go the food route or stick with a book about wild animals. 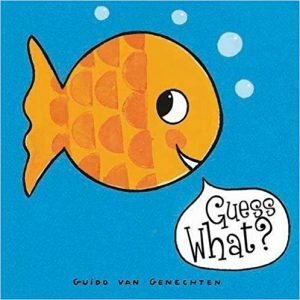 I love me a guessing game book. 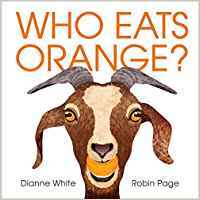 The repetition of the question is great for toddlers and preschoolers will love to correctly identify the animals. An all-star choice. Definitely don’t miss the companion book Who Has This Tail? 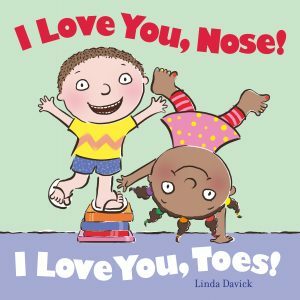 Goes perfectly with Dancing Feet by Lindsey Craig; illustrated by Marc Brown. 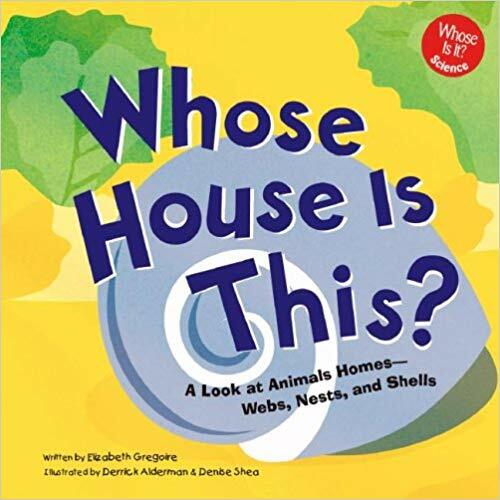 A question and answer book that explains the purpose behind each creature’s home. I love the repetitive nature of the question and the rhythmic language. 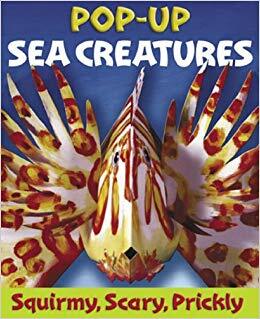 Great for preschoolers who are learning about the creatures around them. 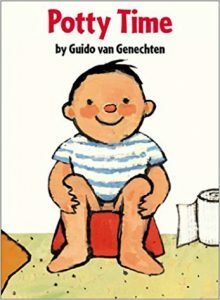 Look if it has poop in the title you know your under 5 crowd will love it. Skip the longer facts if you got a high energy group and just identify each turd pile. I encourage caregivers to take the book home to scour the details. 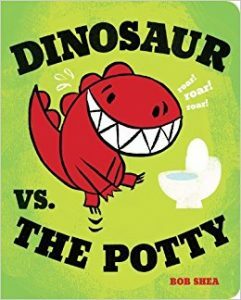 I think Dinosaur vs. the Potty by Bob Shea is a perfect match with this topic. Four years ago (HOW HAS IT BEEN THAT LONG?!) 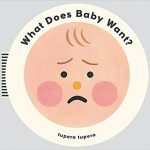 I wrote a series of blog posts about babytime. You can find them all on the newly reorganized Storytime Resources page. 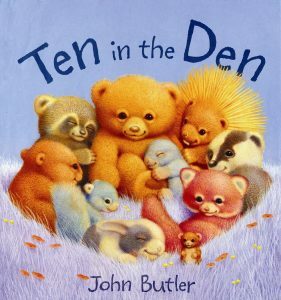 In one of the posts I shared some of my favourite books to read at a baby storytime. 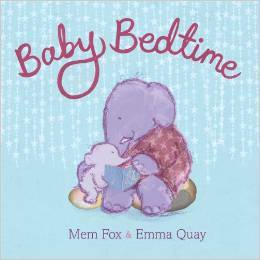 My baby storytimes are aimed at ages 0 – 18 months. I have large groups of 50 – 90 people so I tend to choose books that are interactive, short, and grab the babies’ attention. I’m back today with part 2 of my favourite babytime books! Some of them are new, some of them are old. All rocked my storytimes. I ask the caregivers to sing this one with me. The pages are bright and big making it an excellent choice for large groups. 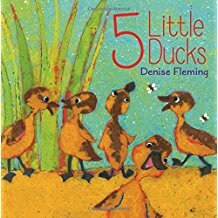 Sometimes I pause between pages and have caregivers count the duckies on their baby’s toes or fingers. Each spread shows two opposing animals. There’s only an adjective + noun for each one so I encourage the caregivers to read this one with me. 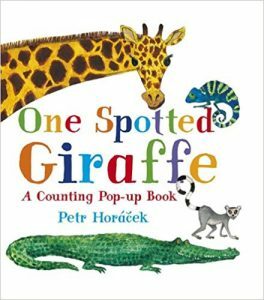 The pop-up elements grab the attention of little ones and caregivers can point and label the animals as we read. Super bright and colourful. 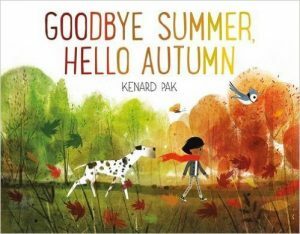 This one made my 2017 Favourite Storytime Books list. When I read this one I talk to caregivers about making reading part of their everyday routine. Bedtime is a great place to start! 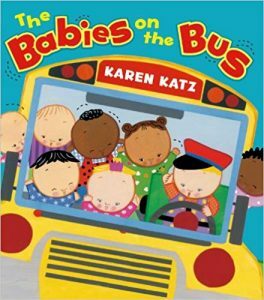 Look, you could probably read any Karen Katz book at babytime and be golden. I love this one because you can sing it and bounce babies at the same time. I encourage caregivers to make up their own verses as they travel around Vancouver on the bus and Skytrain. This is an older, oversized board book filled with the most adorable baby photographs. 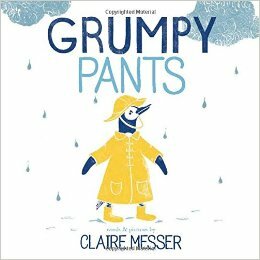 On each page you turn the flap to find the baby who is feeling happy, sad, grumpy, silly, or sleepy. Short and sweet! 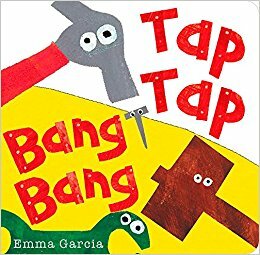 Find this one on my 2018 Favourite Storytime Books list. 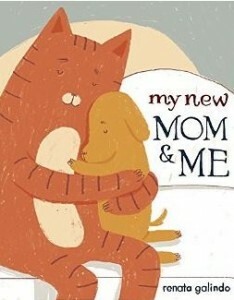 I think this also makes a great book to buy for expecting parents. 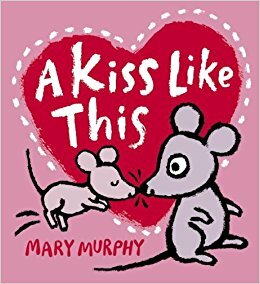 From my 2015 favourites, this book is all about the love! 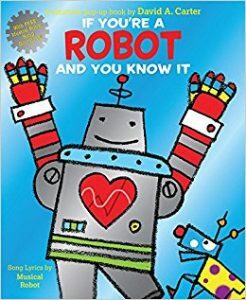 I have caregivers touch baby’s body parts that are mentioned in the book as we read. For caregivers struggling to connect with their baby, just saying the word “love” can help. A great choice if you do a Baby Welcoming event too. 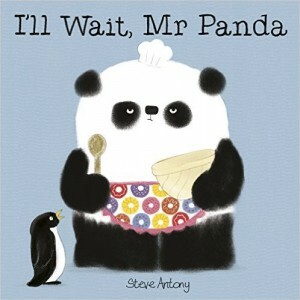 Baker turns the classic rhyme into a short picture book. 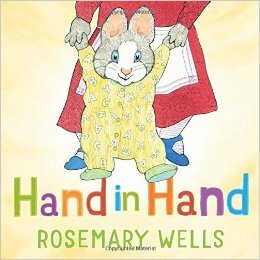 I have caregivers count their fingers or their baby’s fingers as we read the book. Keep your pace slow. It’s so short that sometimes I read it twice in a row. This one always gets a laugh. Caregivers can easily relate to the daily tasks of their baby eating, pooping, and sleeping. Super short but super engaging. 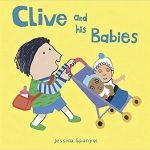 I love all of the Clive books because they break gender stereotypes. They aren’t big so they work better for smaller groups, but they showcase all the ways kids love to play. 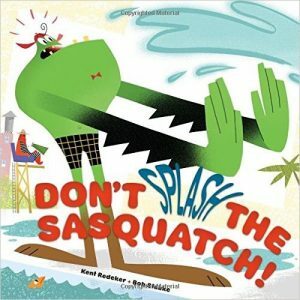 This rhyming, silly book is great for introducing animal sounds. Babies will love the lift-the-flap feature. Also check out Do Cows Meow? if you like this one. 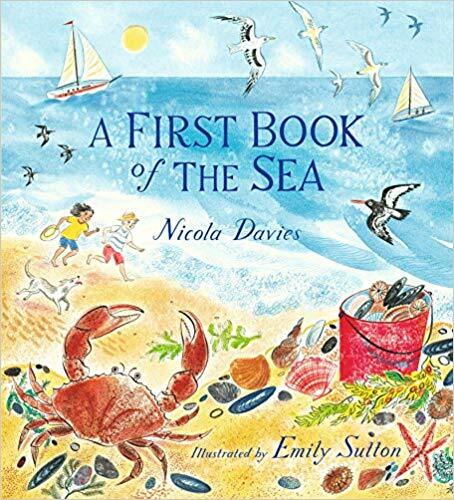 This one is also on my 2018 Favourite Storytime Books list too. I got creative by having caregivers make the pattern on their baby’s back or tummy. Great for smaller groups as the pictures aren’t super big. 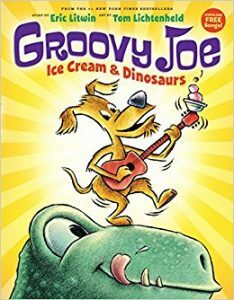 Find this gem on my 2016 Favourite Storytime Books list. 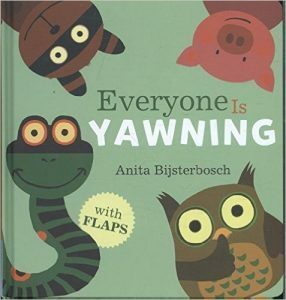 I have caregivers yawn with me as we read this book. 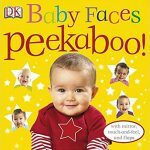 We watch for any babies who mimic us which is a nice tie-in to talking about facial expressions and how to use your face as a toy. We don’t circulate these giant pop-up books so it’s quite a treat to bring them out in babytime. There’s lots of text in this one but I skip it in favour of labeling the animal and describing it as I scan the room so all the babies can see. Always a stand-out! Around 6 months of age babies will start to gravitate towards books with pictures of other babies. This one is perfect for showcasing diverse babies with all their everyday things. 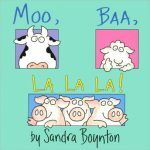 Perfect for small groups, this is a rhyming lift-the-flap board book that you can sing! Donaldson is a master rhymer and she transfers this skill to babies seamlessly. Sometimes you pick a book for babytime that is solely meant for the caregivers. That is this book. Funny, clever, and definitely relatable. I keep it with me for any age group. 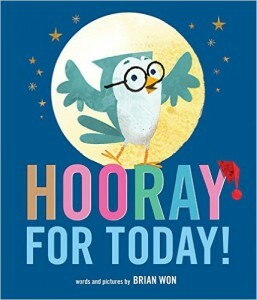 Another beautifully photographed book featuring close up facial expressions and words babies hear in their daily lives. 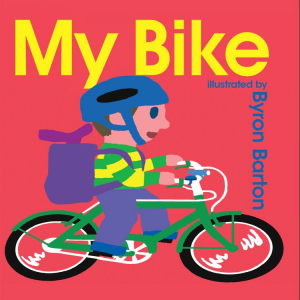 The picture book version is out of print but you can still get the board book version. 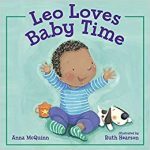 All of the Leo books make a great addition to babytime and the title of this one pretty much says it all. 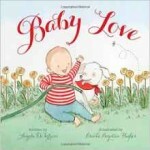 I like having some of the Lola books on display so caregivers can continue with this series as their babies grow. Flett is one of my all-time favourite illustrators. 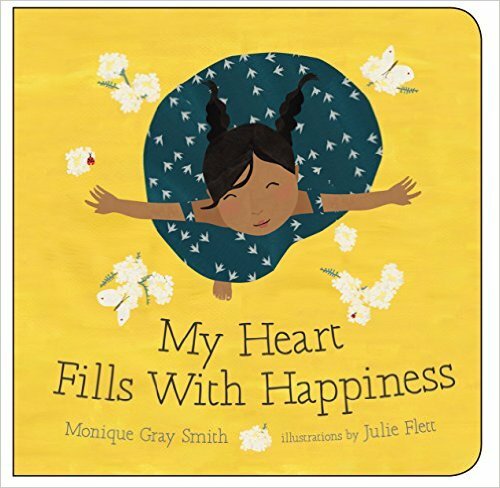 This board book is perfect for smaller groups and shows present-day Indigenous families celebrating things that bring them joy. 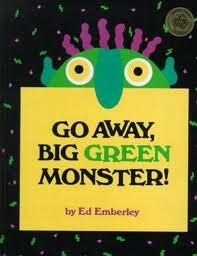 I have the oversized board book version of this well known story for little ones. I think the rhythm of the text and length of the story is perfect for babytime. 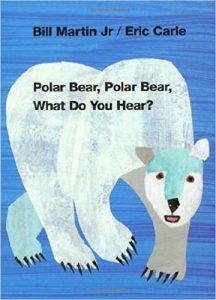 Plus you can sneak in an early literacy tip about how animal sounds help babies with phonological awareness. 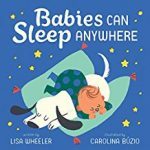 From my 2015 list, this one is brightly illustrated and provides ample opportunities for caregivers and babies to interact while you read. It’s also a song which can you either sing yourself or play during storytime. This is another giant pop-up book that I talk about more than read. The babies love the way the sea creatures jump off the page. I especially love sharing it during the summer when families spend time at the beach or the aquarium. I think you could get away with reading this book every single week as part of your welcome routine. That would give caregivers a chance to really learn the words. Plus we know how important repetition is to learning. 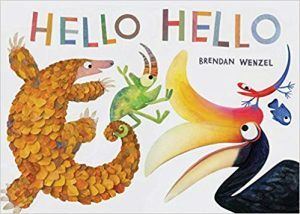 A wonderful book to practice the skill of waving too! 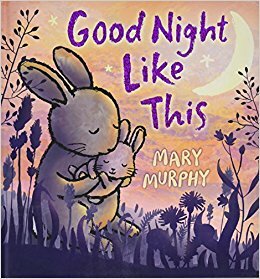 Murphy is one of my Toddler Storytime Authors to Know, but her books work great for babytime too! I love how this one encourages a loving interaction between baby and caregiver. Plus you get to make animal sounds and have fun! 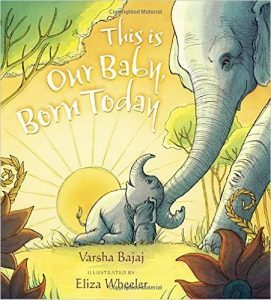 There are tons of singable books to choose from for babytime, but I love this one because of the diversity of animals and familiar tune. It works great with any age and you can easily translate it to a felt story or puppet story. I guess you have to judge your crowd for this one, but my caregivers loved this story of an upset baby who just wants to breastfeed. Some reviews call it “shockingly shaped” but I’m all for the normalization of something that is…totally normal. 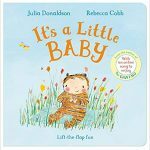 From my 2016 list, this one is great to read at the end of a babytime session and have caregivers reflect on the things their baby has learned. If you have a small group you can even go around and have them share a milestone. A Canadian series that continues up to three. 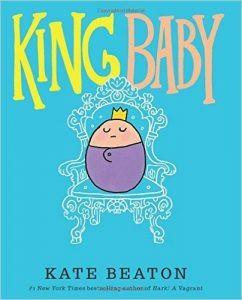 What are your favourite books to read at babytime? I am always looking for new ones to feature so please leave a comment sharing what has worked for you! Without further ado, here are my favourite storytime books published in 2018 presented in alphabetical order. 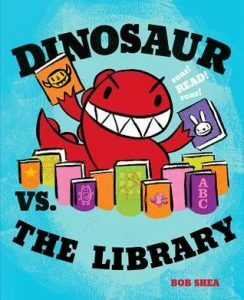 A funny and engaging school-age readaloud, great for up to Grade 4. Because book is a conversation you either have to be good at making distinct voices or get a kid to read one of the parts. Lots of spooky characters make it a great choice for Halloween time. A year in the life of a baby perfectly summarized with short phrases and a diverse array of families. Definitely add this to your babytime line up! I especially appreciate the inclusion of breastfeeding and male caregivers. 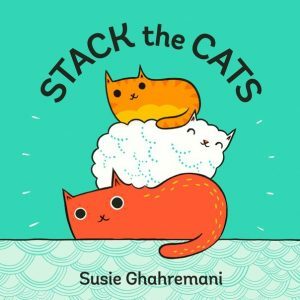 Ghahremani is back with another math-tastic book for toddlers and preschoolers (her first one made my list last year!). This one focuses on weight and balance. Highly recommended for STEAM storytimes. And it’s begging to be made into a felt story! This is rhyming done well. 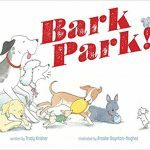 Short, simple sentences mixed with some repetition make this dog lover’s book perfect for toddlers and preschoolers. I had the kids bark along with me and we talked about the differences and similarities between the dogs. The the illustrations are detailed at times for a large storytime group, but the size of the pages helps them translate. 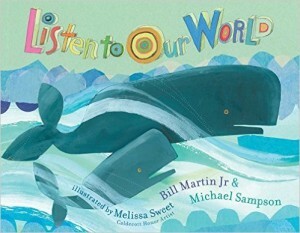 Wan made my list three years ago with the first book in this series featuring a whale. 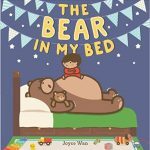 This time a little boy discovers a bear in his bedroom and they go through a series of hilarious steps to get ready for bed. Seriously, the pictures will have your preschoolers ROFL. 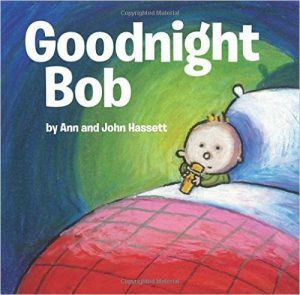 Short, crisp sentences and big pages make it a great choice for toddlers as well. Grab for your next bedtime storytime. Silly and fun, I’ve been taking this one on all my preschool outreach visits. 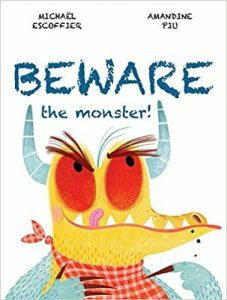 As the monster’s appetites grows I ask the kids to figure out what he’s eaten on each page. A friendly burp ending takes away any scare element. Kindies will get the humour even more. 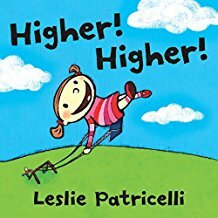 Patricelli is on my Toddler Storytime Authors to Know list and this one is a great example of why. 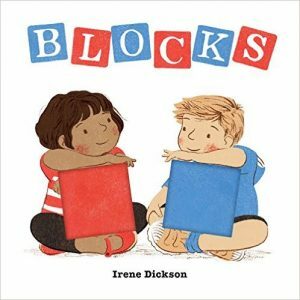 She writes about things toddlers do – play with blocks – using toddler friendly language that builds and is repeated. I especially love that it’s a little girl who’s doing the building. 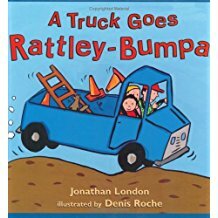 I’ve been reading this one to all my school-age storytimes. 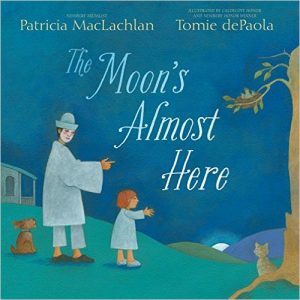 Even though it is calmer in tone than most books on this list, the illustrations are gorgeous and the origin story of the phases of the moon is captivating. And I’m always on the lookout for picture books with Asian families due to my city’s demographics. Hopefully Lin writes more! 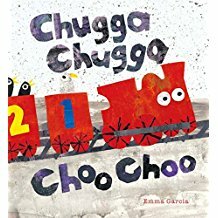 I discovered this book in my library’s new Indigenous collection for children. 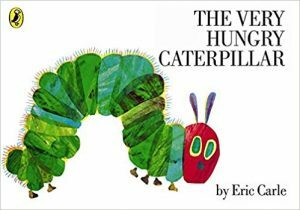 Due to the length, I’ve only read it to school-age groups but you could swing it with an engaged group of preschoolers too. 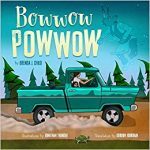 The story follows Windy Girl as she attends a Powwow and then dreams of her own dog-filled Powwwow inspired by her uncle’s stories. 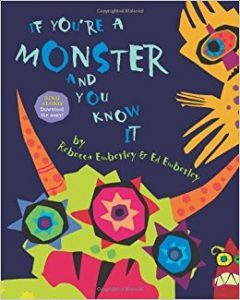 Debbie Reese summarizes it’s strengths perfectly: “It is tribally specific, and it is set in the present day, and it beautifully captures Ojibwe people.” Told in both English and Ojibwe. An interactive hit with preschoolers. 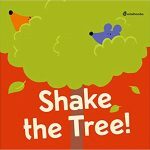 Help coax shy Crunch out from the bushes by learning about personal space, voice level, and singing a classic song. 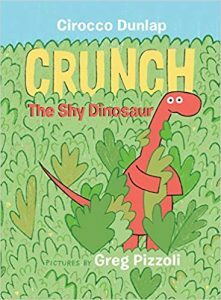 One of the kids I read this to thought Crunch was a worm at first which only endeared the book to me more. 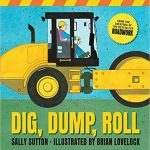 A New Zealand import, Sutton has done it again with a construction themed storytime gem. This one is a guessing game infused with the most wonderful made-up sounds. The big colourful pages are icing on the cake. 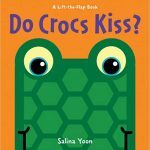 This one will be much demanded after storytime by your toddlers and preschoolers. Sometimes you have to get creative with your babytime picks. 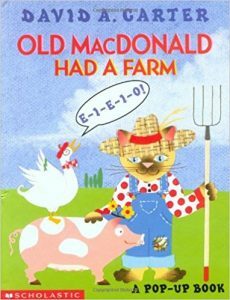 This board book stood out to me because it was a little larger than most and it had to do with patterns. Before I read this one I had caregivers practice making each pattern on their baby’s stomach or back or hand. Then as we read we said the words together and did the motion. It was a great chance to show caregivers how to interact with their babies as they read. This is Sandall’s third year on my list so it’s safe to say she’s a storytime star. 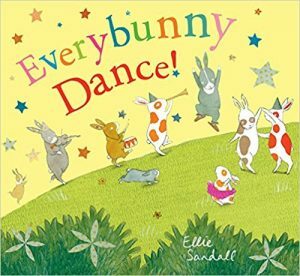 In this sequel to Everbunny Dance!, the focus is on play and friendship. With toddlers and preschoolers we pause on each page to count with the bunnies. Cute and interactive! Toddler storytime gold, right here folks. Bright pictures with few words fill this recipe book. Spend time naming colours and counting the ingredients. 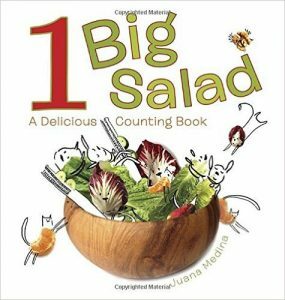 Sneak in an early literacy tip about all the opportunities to do math while cooking with your little one. 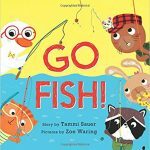 Sauer and Waring made my list last year too and their Goose and friends are back for a fishy tale. 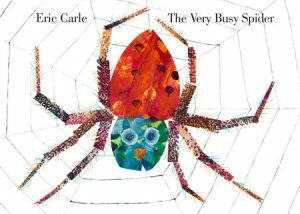 When I read this with a mixed group of toddlers and preschoolers we pretended to throw our cast out as I read. We imagined if we caught anything and compared it to the characters in the book. There’s sparse text which leaves time to talk with your storytimers as you read. Underlying it all is a subtle message about pollution which you can choose to point out or not. 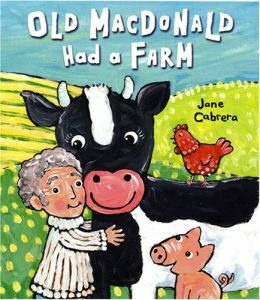 My colleague and fellow children’s librarian Jane is back with another storytime hit. Made for the Pacific Northwest crowd, this one features a fun-filled rainy day. 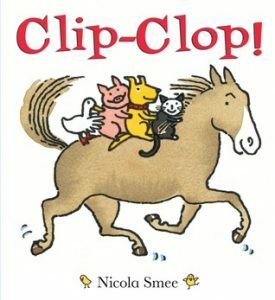 The simple plot makes it great for wiggly toddlers and the rhythmic text keeps the story chugging along. Keep this one on hand all throughout the fall and winter! Panda is back and better than ever. 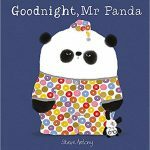 Perfect for pajama storytimes, Mr. Panda reminds all his friends of the things they need to do before going to sleep. Practice your voices before reading this one aloud to distinguish between animals. Great for toddlers though preschoolers will get more of the humour. 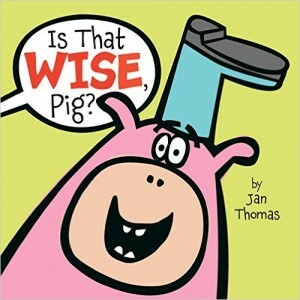 I sent this book in with my niece for her teacher to read aloud to their Grade 2 class. Sometimes you just feel grumpy and that’s okay! A great jumping off point for discussions around feelings and social emotional learning. Plus, that monkey is pretty darn cute despite being in a bad mood. 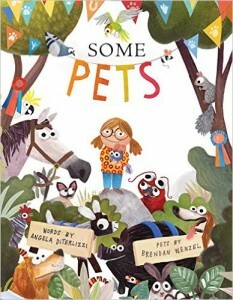 Another animal-filled stunner from Wenzel. 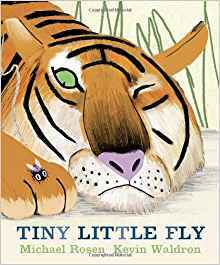 The short poetry-like text can be read through quickly for wiggly toddlers, or you can spend time finding the traits each animal set has in common with preschoolers and school-age kids. Wenzel provides a perfect jumping off point for further discussions about wildlife and conservation. 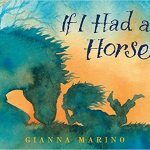 In this beautifully illustrated imaginative work, a young girl hypothesizes about having a horse. The short, crisp sentences make it perfect for toddlers though preschoolers will engage more with questions about their own imagination. 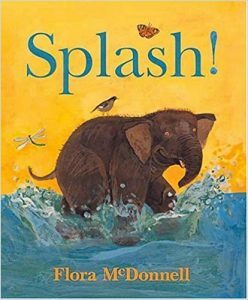 A perfect book for encouraging the early literacy practice of play. 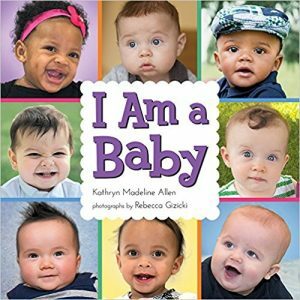 If you’ve got a small babytime group, definitely grab this interactive board book. It comes with a tune that you can sing while you read and flaps you can lift. I had a couple parents ask for it at the end of storytime which is always a sign of success. 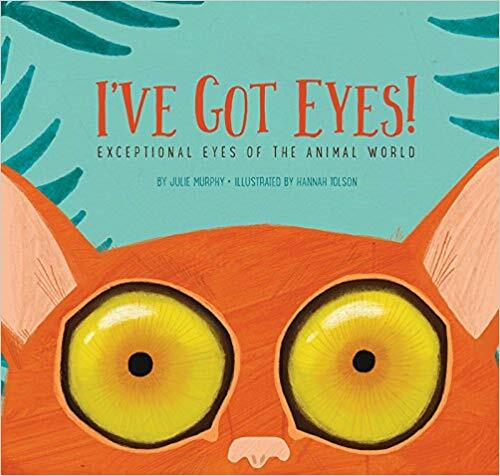 A non-fiction title that centers on the specific characteristic of animals eyes. The illustrations are bright and bold and the information is presented clearly. Each spread features an animal and how their eyes help them survive and thrive. Perfect for grades K – 2, but preschoolers will also enjoy learning about this body part. You can stop at any page too if they get restless. 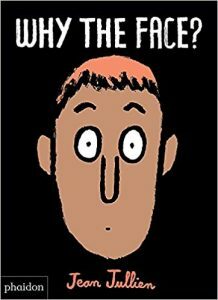 This book first caught my attention when I saw it on the 2018 CLEL Bell Awards shortlists. 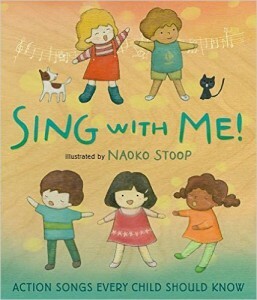 It absolutely highlights the early literacy practice of singing and exemplifies the power of song to brighten the mood. 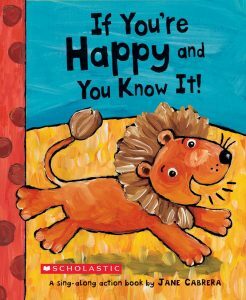 Use it with preschoolers and encourage them to make up their own songs to make themselves and others feel happy. 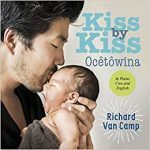 This bilingual (English/Plains Cree) board book is one of my favourites of the year. 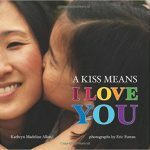 As you read it with babies and toddlers you can encourage caregivers to either kiss along with the caregivers in the photographs or help their little ones count. 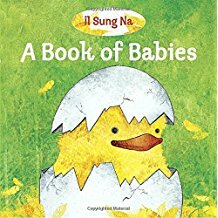 I’m always looking for books that promote bonding and secure relationships between infants and caregivers and this one is perfect. 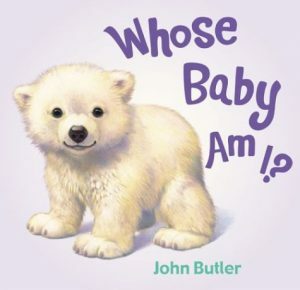 Another stellar non-fiction title perfect for preschool and up. 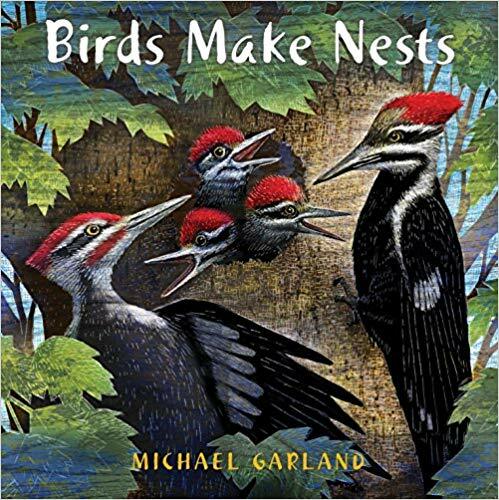 Gardner demystifies animals who get a bad rap and provides interesting facts about their life in the wild. With younger kids there is no need to read all of the text, while older kids will enjoy hearing about the intricate details. Like many information books you can stop at any point and either read the next week, the next day, the next hour. 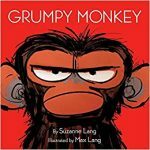 Toddler tantrums explained in toddler friendly words and images. Bear gets upset about having to leave the park, take off his shoes, and leave his favourite stick outside. I like how it unapologetically shows anger, but tempers it with a calm down strategy too. Short, simple sentences make it extra toddler friendly. Add it to all social emotional learning booklists. 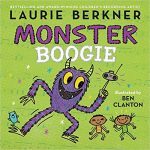 Based on Berkner’s popular song, this book is a filled with dancing fun. 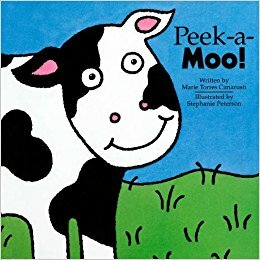 I read it to a preschool group and a mom came in a few days later saying her son loved it and wanted to read it again. 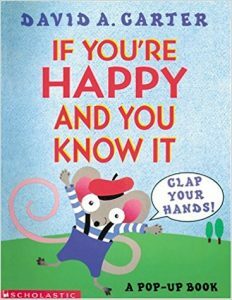 I had the kids stand up as I read/sang the book and we all danced together. Have I mentioned I get paid to do this? Kids get to pretend to be veterinarians in this interactive animal care taking title. 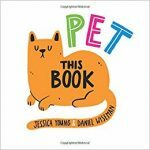 Pet the cat, wash the dog, feed the lizard, and more. 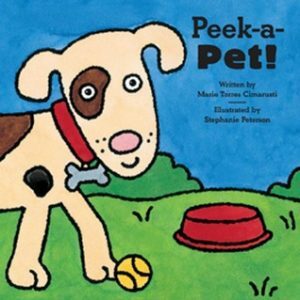 Perfect for a pet-themed storytime with preschoolers. Don’t miss this duos other 2018 title, Play This Book, for a music filled adventure. One of my top ten this year! Firstly, you get to turn the book sideways which is a great conversation starter with kids about how picture books are art. Then you get to go on a silly adventure where animals try to eat each other to much chagrin. Funny and clever. It’s been an absolute hit with every group I’ve read it to. Bird is back with sass! 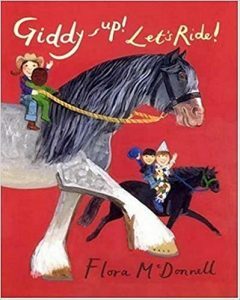 I love reading any of the books in this series to visiting preschools and school-age groups. 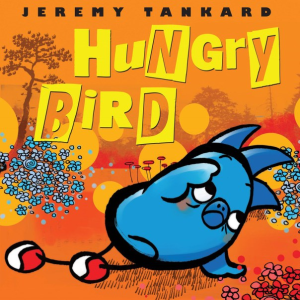 They get the humour and love to hear that Tankard is a local Vancouver author. I feel like exhausted caregivers will especially relate to this one as Bird insists he is not ready for bed yet. 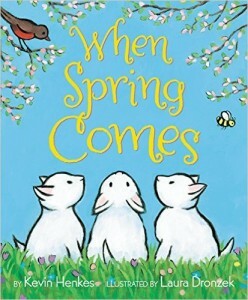 Also a Toddler Storytime Author to Know, Cousins delivers a delightful baby and toddler storytime book this year. 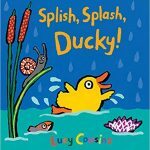 You can quack along on every page as you follow Ducky in the rain. Bright and colourful pages grab the reader’s attention and the rhythm of the text keeps it. 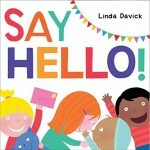 Dickson made my list two years ago with her awesome book Blocks, and this year she is back with more toddler goodness. Her books are what I call “Storytime Size” – perfect for big groups! 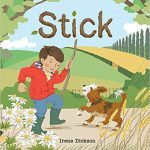 Short, simple sentences punctuate this story of a boy and his stick. If you’re brave, pass out some rhythm sticks and have kids mimic the actions of the boy in the book. Like her previous title, this one ends with a new friend. 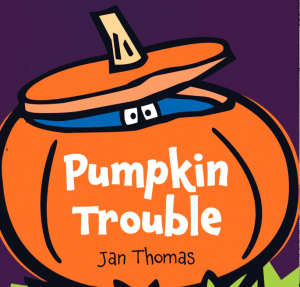 The perfect little title to read around Halloween. 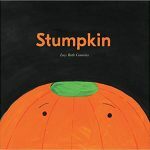 All Stumpkin wants is to become a Jack-o-Lantern like the other pumpkins on his stand. 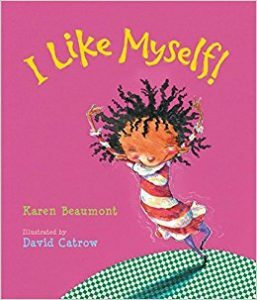 Works great for preschoolers and up who will relate to feelings of being left out, wanting to fit in, and being proud of who you are. 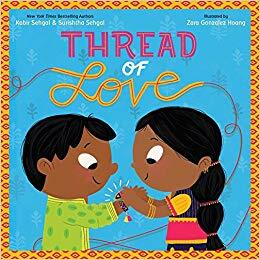 Written by a mother/son duo, this book highlights the Hindu festival called Raksha Bandhan which celebrates brotherly and sisterly love. 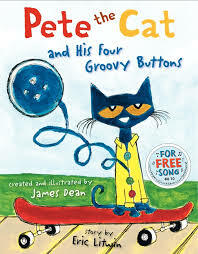 You can sing it to the tune of Frère Jacques which adds to the storytime appeal. Pictures are bright and big – great for a large group! Man, Higgins really knows his preschool humour. I love his Mother Bruce series too. In this one we follow Penelope Rex as she enters school and learns what she can and can’t eat. 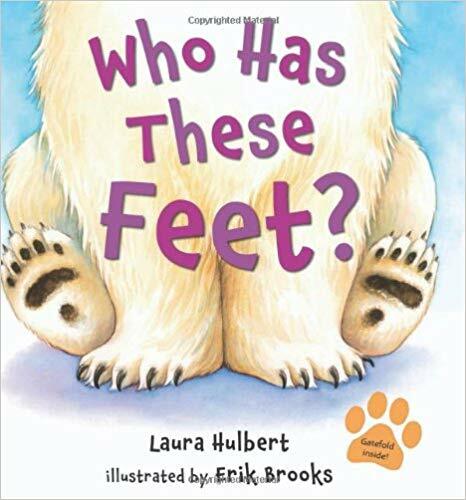 I read it to a preschool and kindergarten class and they all thought it was hilarious. I recommend it to all teachers at the beginning of the school year too! Another stand-out non fiction title this year. Learn about colours by exploring which animals eat that coloured food. I love the inclusion of rarer animals such as the quetzal, marmot, and waxwing as it adds a vocabulary boost. 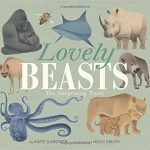 You could read to toddlers and focus solely on the colours or labeling of animals, but it really shines with older kids who will be interested to learn more about each creature. 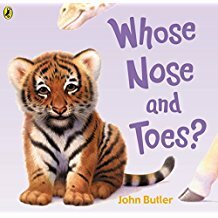 This larger board book comes from someone I’m starting to think of one of the most innovative board book designers out there. 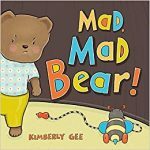 This one focuses on feelings and acts as a guessing game for babies and toddlers. The fold-out pages make for a hilarious read that even preschoolers will enjoy. Definitely one to snag to engage your audience and have fun with reading. That’s it, folks! Did I miss one of your favourites published in 2018? Please leave me a comment so I can check them out! 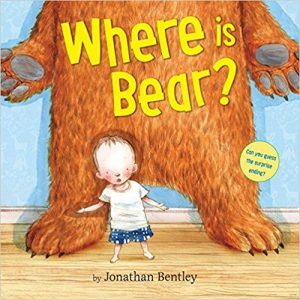 One of the most common questions I get asked by people new to storytime is what to read to toddlers. Toddlers are a tricky group. They can go from being engaged to running around the room in a matter of seconds. I’ve written before about toddler language acquisition and how we can support it through our pacing. 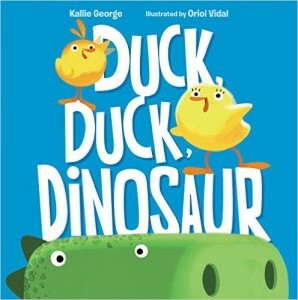 Today I want to share a group of authors whose books meet the language development needs of toddlers and that work well in a storytime setting. I chose authors that have at least three books that fit within these parameters. I’m hoping this post can serve as a guide for those looking to get familiar with what makes a good toddler storytime book. If I missed one of your favourites, please let me know in the comments! 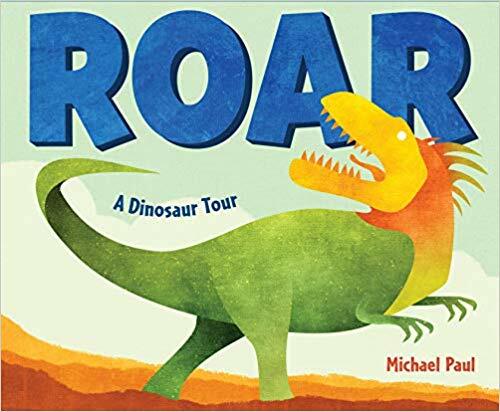 For even more toddler storytime read alouds, check out Part 1 and Part 2 of my toddler storytime series and my annual storytime favourites booklists. Baker’s books often showcase an appreciation for nature. He’s got a few nursery rhyme adaptations too. 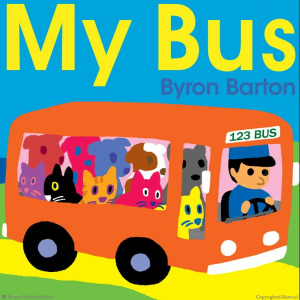 I think I’ve referred to Barton as king of toddler books before. He just gets them. His books feature everyday objects. You can sing two of these which toddlers love. 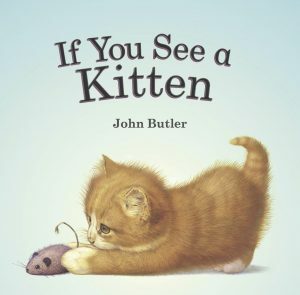 Butler’s books combine adorable animals, animal sounds, and guessing games. A classic author to know. 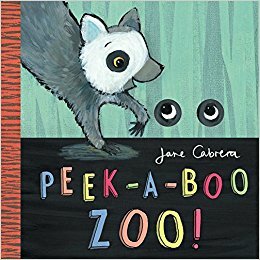 Known for her singable books, Cabrera has an array nursery rhymes and classic songs in book format. Her illustrations are oh-so-cute. One of the most well-known authors for children. If you can snag a pop-up version of any of his books they are well worth it! A smart choice for pop-up singable books. Though his books are smaller in size, they still captivate a toddler audience. Thank you to Gina (in the comments) for reminding me of these gems. Your go-to lift-the-flap author! Fun and filled with animal sounds. 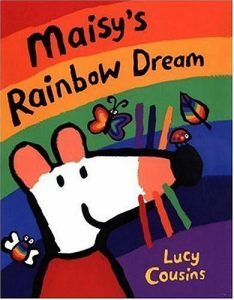 Best known for her Maisy the mouse character, these three books have big pages perfect for large toddler groups. Her diverse set of round-headed kids are the perfect addition to a toddler storytime. 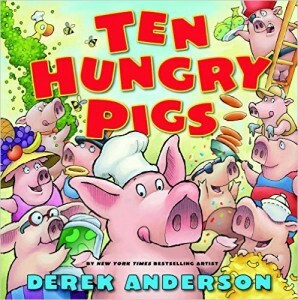 Dodd’s books feature simple sentence structure and unique vocabulary. 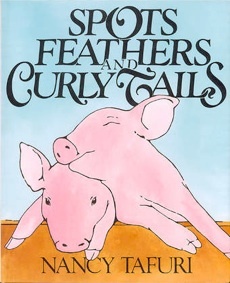 Many of her books feature common household pets. 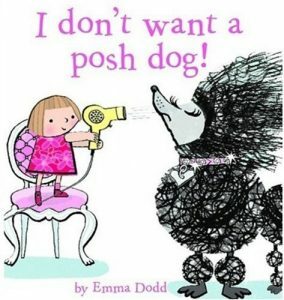 I Don’t Want a Posh Dog! 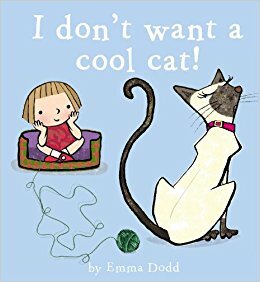 I Don’t Want a Cool Cat! 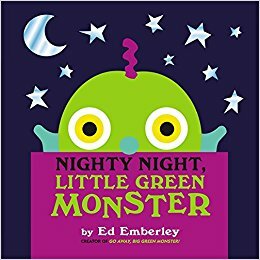 If you need a monster book that doesn’t scare kids, Emberley is your author! Fleming has a distinctive art style and most of her books feature sparse phrases filled with wonderful unique vocabulary. 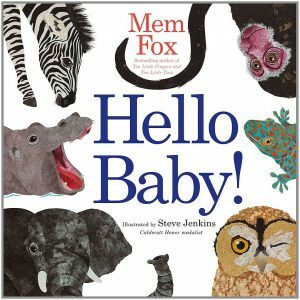 Fox has many books that are baby focused but most of them work really well for those just-toddlers who wobble around and explore everything. 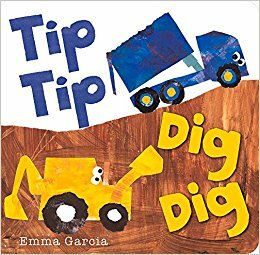 Garcia’s books are perfect for the transportation or construction work enthusiast. Repetition and sounds effects included. 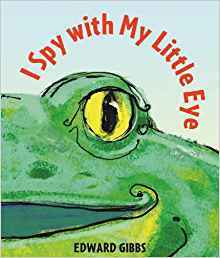 These books straddle the toddler/preschool line, but they can work great in a toddler storytime when everyone repeats the phrase, “I spy with my little eye” all together. 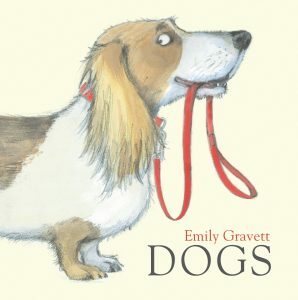 Gravett’s books have a great rhythm without rhyming. A few have a twist ending which caregivers and older children enjoy. 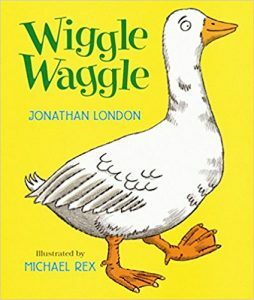 A master of gentle nature themed books. Great for seasonal reads. If you need a great pop-up concept book look no further. These capture the attention of wriggly toddlers and show off a wide array of animals. Litwin’s books feature predictable text patterns with short songs interspersed. Great for preschoolers too, the key to getting them to work with toddlers is getting the caregivers to sing along with you. They make great felt stories too. 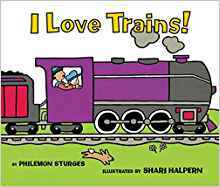 Known for his Froggy books, London also has a collection of transportation themed picture books perfect for toddlers. And don’t forget his animal walking sounds book! You may recognize these from your own childhood. The repetitive structure is perfect for toddlers. Bonus tip: You can sing them to the tune of Twinkle, Twinkle Little Star. 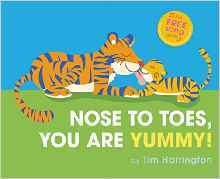 Simple text and big pages make these books perfect for toddlers. These may be out of print, so grab a copy if you see one! 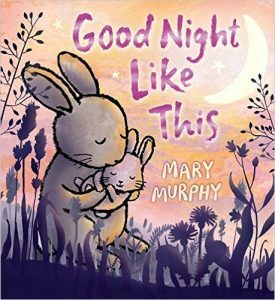 Murphy’s books are great for promoting a loving, positive relationship between toddler and caregiver. They’ve also got great animal sounds. Dreamy illustrations fill these wonderful books about animals. 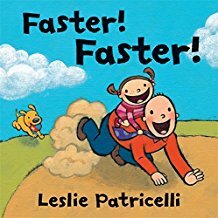 Known for her adorable board books, Patriceclli also has some picture books that are perfect for toddlers. 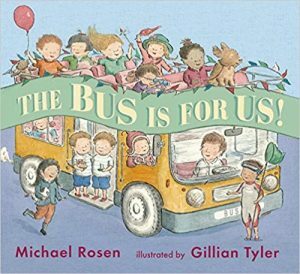 Rosen has all sorts of different stories for little ones. 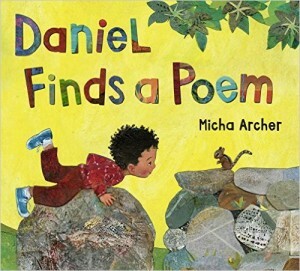 Try reading one of his poems to highlight poetry even for toddlers. Sandall only has two toddler storytime gems so far but I’m including her here because I just know she’s bound to another soon! 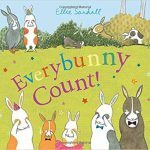 Her third book, Everybunny Count! 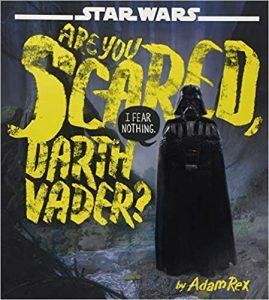 comes out this year so I’ll update this page after I’ve read it. 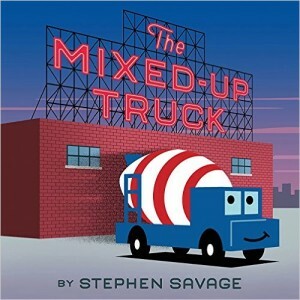 Sayre is a prolific writer and has tons of storytime gems. Her non-fiction ones are top notch featuring wondeful vocabulary and stunning photographs of nature. 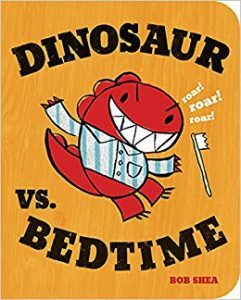 Shea’s dinosaur series is great for those little ones who just need to roar! 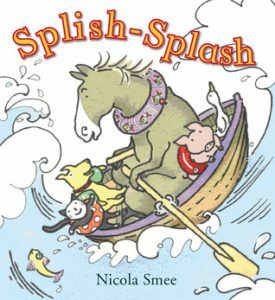 Join Smee’s group of animal friends for different adventures. You can act out these books or have toddler jump in a lap for some bouncing or rocking while you read. Thank you to Gina (in the comments) for reminding me of these! 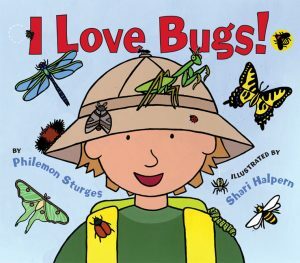 Sturges’s books are great for celebrating a child’s love of different things. 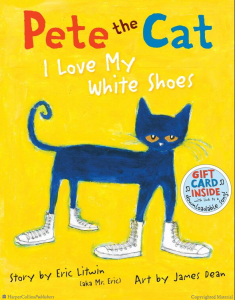 Short, simple sentences paired with boldly coloured illustrations are a great combo. 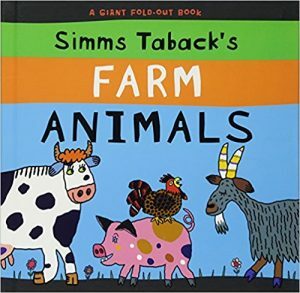 In Taback’s series readers guess the animals hiding behind the flaps. Fold out pages make for a lovely surprise for toddlers. 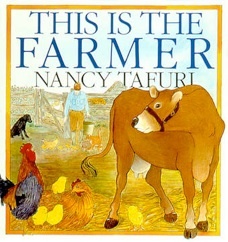 Tafuri’s books feature repetition, short sentences, and lots of farm animals. Thomas has a great sense of humour and even if the toddlers don’t completely get the jokes the caregivers will. 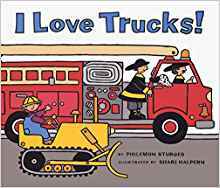 Those are my picks for toddler storytime authors to know. Did I miss one of your favourites? Let me know in the comments! Holy smokies, folks, am I excited to share today’s guest post! You all know I love me some storytime book lists. Today I am happy to feature guest blogger Kate Davis. Kate is a storytime ninja, global literature fangirl, and agent of early literacy advocacy. She is based in San Diego. And she is here to provide tips on how to select and read picture books in storytime from all around the world. I learned about so many new titles! 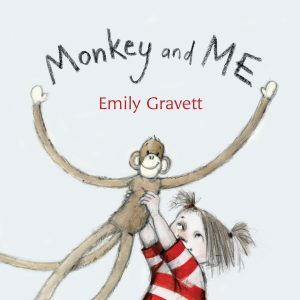 Do you have a favourite global picture book you share in storytime? Leave a comment letting us know. 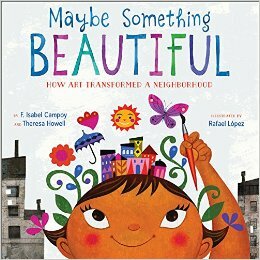 Diversity is a mainstay in our culture and is slowly developing a presence in North American children’s literature. 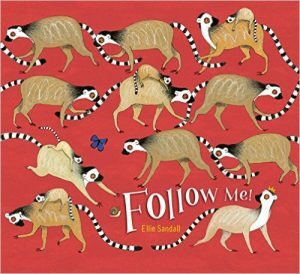 While we continue to fight for its presence, we can fill cultural gaps in our storytimes with global picture books that have been translated into English. 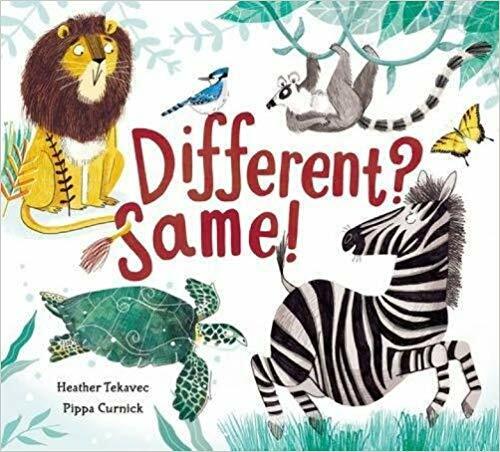 These amazing publications give us the opportunity to not only help little ones develop an early understanding of diversity, but to peek into unfamiliar cultures through themes they can relate to. 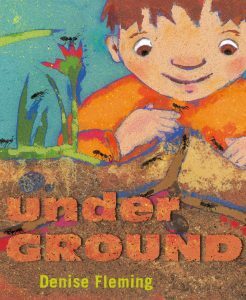 Intentionally selecting global literature to read during storytime can be overwhelming. 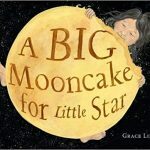 Doubts on what to choose, how to pronounce unfamiliar words, and how to answer possible questions is enough to send many of us back to our comfortable favorites, but international picture books offer so many fantastic benefits. They prompt conversation and offer variegated sounds, vocabulary and sentence structure. They develop a deeper understanding of creativity and broach unfamiliar themes. Most importantly, they normalize diversity, helping young readers to see and accept it as a natural part of civilization. 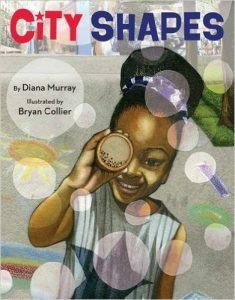 Authors and illustrators from every culture incorporate elements of their society’s history, values, and viewpoints into their picture books. 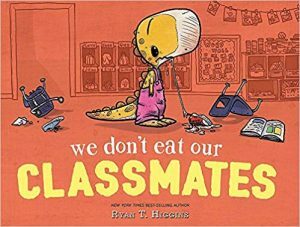 Since every culture is different, we have to be aware that picture books, even when translated, can’t possibly translate into our individual sensibilities. We wouldn’t want them to! So as we read them, we need to note cultural markers such as a glass of wine on the dinner table in a book from southern Europe or soldiers with machine guns patrolling a city street in a story from Central America. Such subtle nods to cultural dynamics are eye-opening, even a little surprising to adult readers in North America. It’s important to carefully assess a global book before reading it aloud to ensure that its appropriate for your audience. Another key difference is that many international picture books do not follow traditional North American formats. They may not adhere to build up-climax-conclusion storylines familiar to U.S. readers. Endings are often abrupt and random, even anticlimactic. While this certainly doesn’t negate the books’ integrity, awareness of it is key when reading aloud. As storytellers, we moderate our voices according to position in a story, so we can use our voices to soften an awkward transition or an abrupt ending. Fortunately, our young listeners aren’t as ingrained in standard formatting as adults are, so they won’t be dissuaded from enjoying a book because the ending doesn’t fit a predefined standard. 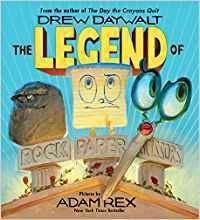 They will relish the characters, the illustrations and differences that make the book unique. Some global titles are less culturally specific and therefore may seem more universal in nature, such as those with anthropomorphic creatures. Subtle details, however, in both text and illustration may still convey cultural flavor that can lead to expanding young readers’ perspectives. 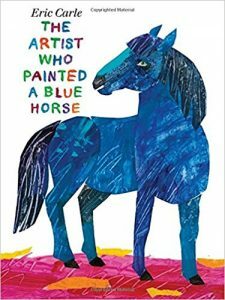 In strong contrast, however, picture books from some regions, especially third-world countries, reflect the intensity and rawness of daily life; their narratives and illustrations may be considered too harsh for North American readers. 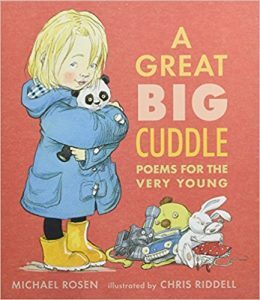 Don’t depend on the publisher’s recommended age ranges for such titles–what may be appropriate for a five-year-old in a different part of the world may not be suitable for a five-year-old in North America. Global picture books are an incredible resource and can truly expand the worlds of the little ones we serve. Illustrations, regardless of country of origin, always bridge cultural gaps while the narratives produce often unexpected themes, quirky details, and enchanting storylines. They’re easy to incorporate into your storytimes for any age and provide for new and stimulating conversation with kids and caretakers alike. 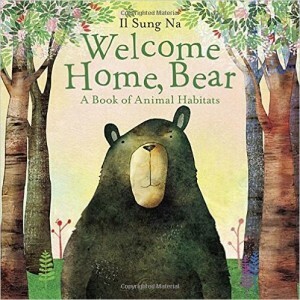 Tips and Tricks for Including Global Picture Books in Your Storytime! Read your global lit book in advance and really look at the details in all the illustrations. Make sure that everything is appropriate for your storytime age group. Practice reading your global lit aloud. Get comfortable with its rhythm, any unusual phrasing, and unfamiliar words/names. Don’t worry if your pronunciation isn’t perfect–have fun trying! Make notes of possible conversation prompts. 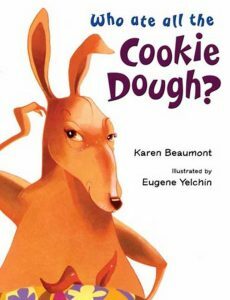 Is there a different animal in the book than you usually read about? 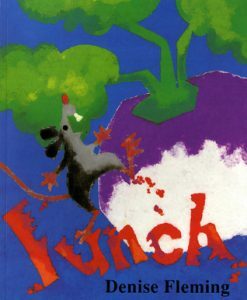 Is the character eating a different kind of food for lunch? Have a globe next to you during storytime and point out where your library is located and then where the book comes from. Toddlers and preschoolers may have little idea of distance, but you’re helping them develop a foundational awareness of geography. 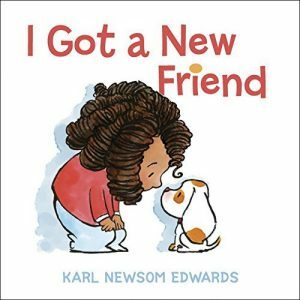 Encourage your storytime friends to practice saying the author’s and/or the characters’ names. Discuss how the names sound different than names they’re used to hearing. Have fun practicing new sounds and noting how different your mouth feels when you say them. Don’t stress about it! 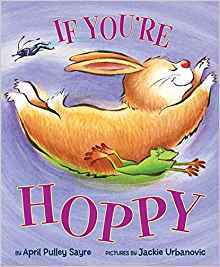 Remember that you probably already have some favorite international authors, including Marcus Pfister (Switzerland), Mem Fox (Australia), or Jean de Brunhoff (France). Why is the fly always in trouble? All he wants is to do is exercise, visit the cows and eat his meals on time. But no one ever wants him around! 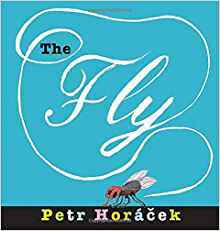 In this clever novelty book, Horacek shares an entirely different perspective with readers while subtly sliding in some important facts about flies. 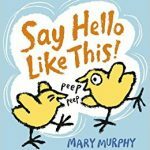 The farm is full of adventures for a brand new baby chick! 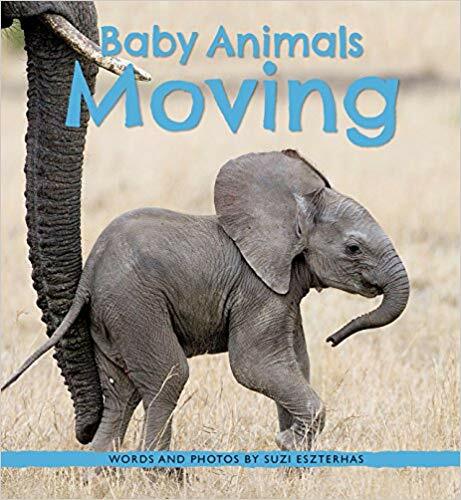 Fun movements, sights and sounds encourage interaction from even the youngest readers as well as introduce early scientific concepts about farm animals. 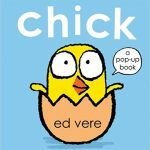 The illustrations beautifully portray the innocence of the chick with bright colors, simple outlines and subtle textures. 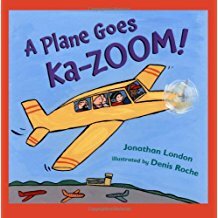 Perfect read aloud for babies, toddlers and preschoolers alike. Potty Time tickles toddlers with the unlikely pairing of animals giant and tiny and in between all sitting on Joe’s potty seat. It’s just the right size for Joe, but could it work for everyone else? Each animal is full of personality, from their colors and patterns to their size and speech. 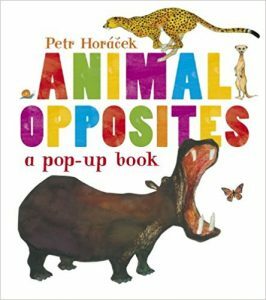 Opposites don’t have to be standard when a clever hippo gets involved! 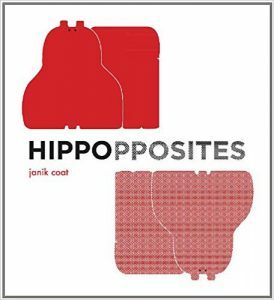 This fun hippo introduces little ones to unconventional counterparts like positive and negative, clear and blurry, and opaque and transparent. 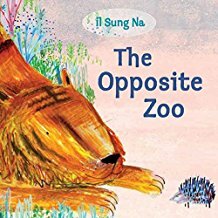 Hippopposites is a great conversation starter and a fantastic way to help young readers look at things in a completely different light! Get ready for some bouncy adventures when a bubble floats away and causes some crazy bubble trouble! 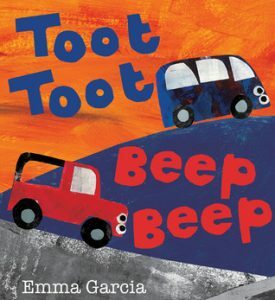 Through inventive rhymes and an infectious meter, readers young and older will be giggling by the end of the first page! Lift the flap to see how one thing can look like another. Simple, bright and colorful, Guess What? 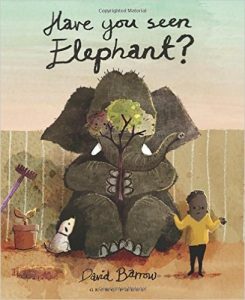 prompts observation, inquiry, prediction, comparisons, imaginative responses and is a great conversation starter. It makes for a crazy day when all the animals on the farm end up high in the branches of a tree! 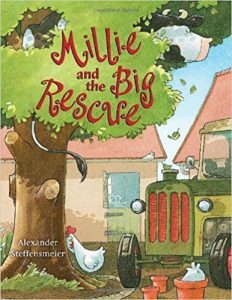 Fans of Click, Clack, Moo will love Millie and the Big Rescue–zany farm animals never fail to delight! 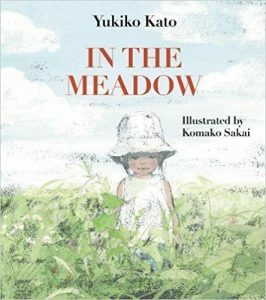 With soft greens, strong contrasts and incredible movement, In the Meadow invites young readers into the cool grasses to feel the tickle of a grasshopper, hear the song of the river and see the flash of a butterfly. Who knew that five red cherries could provide so much inspiration? 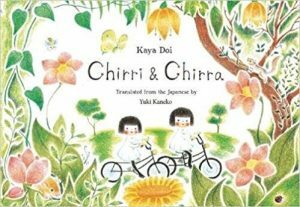 Two small children imagine an afternoon away by finding inventive and creative uses for their special cherries. 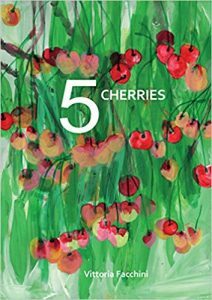 Humorous and imaginative, 5 Cherries features incredible artwork and subtle nods to a very difficult subject. 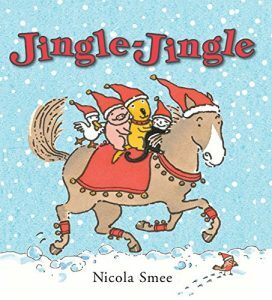 As they ride their bikes through the forest, two little girls explore a new world filled with animals, treats, adventures and surprises. The enchanting colored pencil illustrations bring Chirri and Chirra’s world to life through texture, color and pure whimsy. Grandma goes for a visit, but the forest through which she travels is filled with peril. She’s tiny and frail, but oh so smart. Can she find a way to outwit the danger? 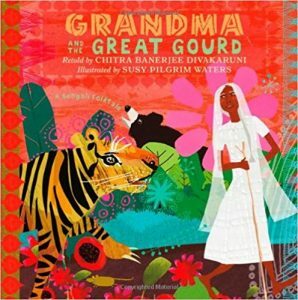 This beautiful retelling of a Bengali folktale will have younger readers on the edge of their seats and rooting for Grandma! When Grandfather gives him seeds for his birthday, Luke is disappointed. 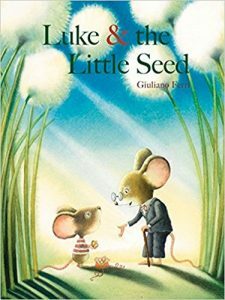 But with Grandfather’s a little guidance and a whole lot of patience, Luke discovers just how magical seeds can be. 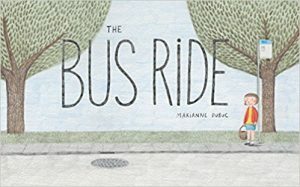 Riding a bus all by yourself can be a big adventure. But you’re never alone when there are all kinds of friends to meet and adventures to be had! This one snuck in at the tail end of 2016 so I’m including it here since I just got to test it out. 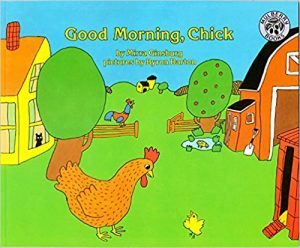 This is a slight twist on the classic nursery rhyme with days of the week included and a Papa Duck who does the caretaking. Nice big pages make it a good choice for big groups. 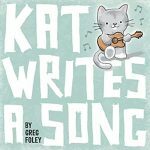 Add this one to your singable books list. 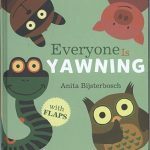 Perfect for babytime or pyjama storytime. Discover how different animals sleep, including the often weird positions babies find themselves in. 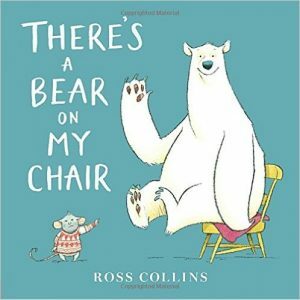 The language is gentle and soothing but the illustrations will bring a smile to your storytime attendees. 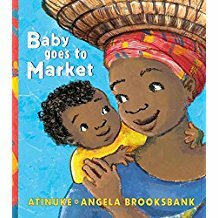 Set in a Nigerian marketplace, follow baby and his mama as they shop for food. This book can work in a babytime, just don’t feel pressure to read every single word. I think it works best with a mixed-age group. The older kids can count along with you and the younger kids will be drawn to the baby protagonist. Bright, bold illustrations translate well for large groups. 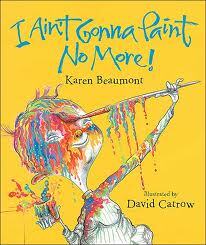 I was SO EXCITED when I found out Garcia has a new picture book out. 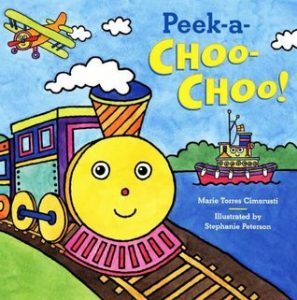 Continuing with her transportation theme, this one features a train that visits different locations. Different birds catch a ride as the train rolls along and it’s fun to count them as you turn the pages. Good for toddlers and preschoolers. 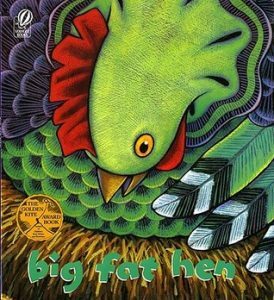 Another hit from this storytime heavyweight author. 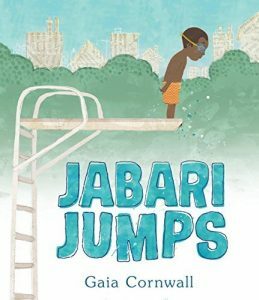 Sandall made my list last year too and is officially a storytime author to watch! This one is pure joy. You can have kids dance and sing along with you as you read or hold a dance party afterwards. It’s got a sweet message about inclusion and friendship to boot. Worked best with toddlers for me, but you could definitely use for the entire 0 – 5 crowd. What’s even better? There’s a sequel coming out in 2018 called Everbunny Counts! 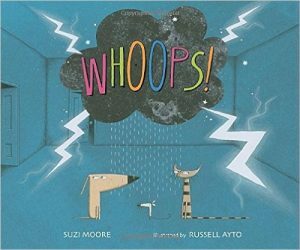 Perfect for toddlers and preschoolers, this is a funny storytime choice. I loved the repetition of sentences – They are brave. They are strong. – and the ultimate message about being kind too. 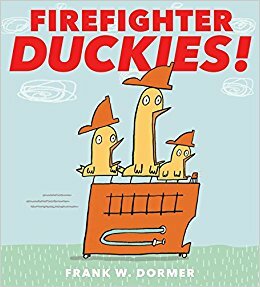 The duckies help in all sorts of silly situations that are infused with good vocabulary. The nice big pages make this a stand-out choice! My friend Shannon brought my attention to this gem. Count up to ten and then back down again as rescue pups get adopted. 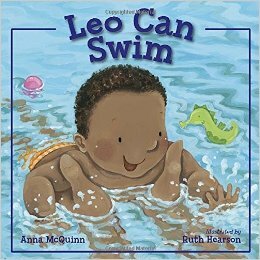 A child in a wheelchair adds much needed representation in picture books. 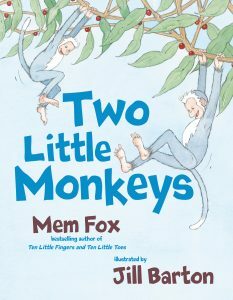 A great choice for toddlers and preschoolers – have them count along on their fingers as you read. The photograph queen returns with this leaf-tastic look at fall. Short, poetic sentences bring unique language to life. You can also just describe the pictures with the kids and talk about what they see outside. It’s a perfect lead-in to a leaf craft project or a group walk around the neighbourhood. 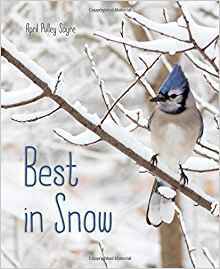 Pairs well with Sayre’s other seasonal books, Raindrops Roll and Best in Snow. 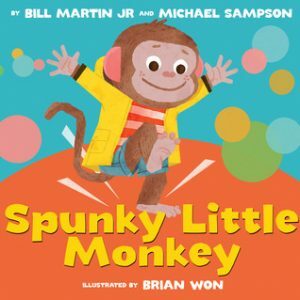 If you read one book to toddlers in storytime this year, make it this one! The repetition is built for their budding language skills. 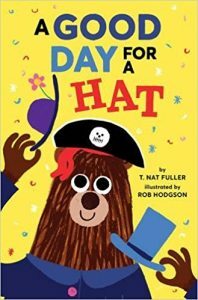 A bear finds the perfect hat to wear in every situation that appears. This one is begging to be made into a felt story. 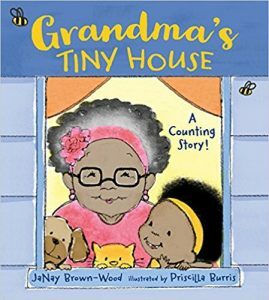 Want a book about community, counting, and problem solving all rolled into one adorable package? I got you. 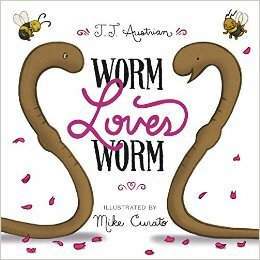 I loved this family story and the fact that it counts up to 15 – rare for a picture book! 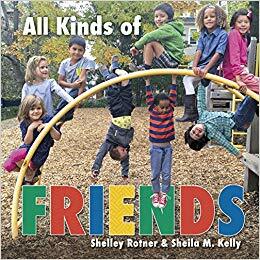 Works best with small groups of toddlers or preschoolers. The subject matter – getting dressed – is very toddler appropriate, and caregivers will empathize with the putting on and taking off aspect of dressing a child. The text is told in sentence fragments with an alternating “hat on”/”hat off” mantra. 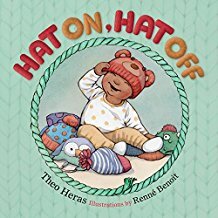 Try bringing a hat with you to storytime and taking it on and off while you read to give the toddlers a clear understanding of what’s happening on the page. 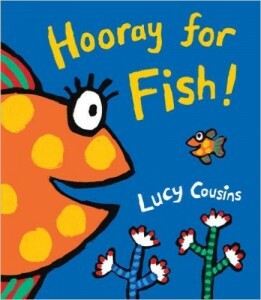 If you love Hooray for Fish! then you must try this one too. 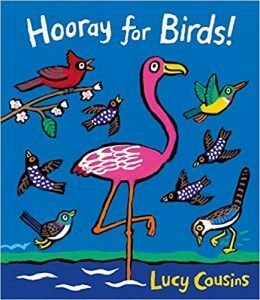 Cousins is back with her large pages and brightly illustrated animals – this time with a focus on our featured friends. Have kids make the bird sounds with you or act out the bird actions. Both toddlers and preschoolers will enjoy. I also love this book because you can skip a few pages if your crowd is restless and they’ll never know! Published in November 2016 but I’m still counting it. A new babytime gem, folks! The photographs are clear and depict a beautiful collection of diverse babies. I love the simple sentences and repetitive sentence structure. It is baby focused featuring common things in a baby’s life such as a crib, bib, diapers, clothes, family members, and toys. Playing dress-up? Check. Fart jokes? Check. Annoyed friend who eventually comes around? Check. Recommended for preschool up to Grade 2. 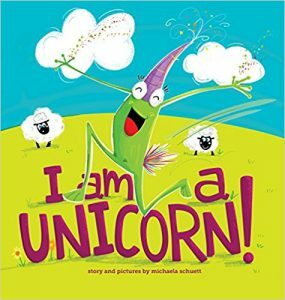 This is a silly, magical story about a frog… err I mean Unicorn who believes in themself. You’ll get lots of giggles, I promise. This board book features illustrations from 10 Northwest Coast Indigenous artists. 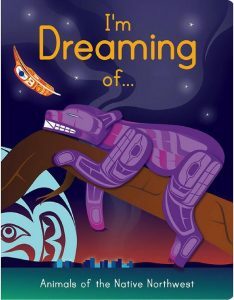 Gleeson-Lyall lives in Vancouver is a Coast Salish, Musqueam writer and I love to promote a local author. Each animal is given an action that kids can easily mimic. Because the book is small it works best with small groups of babies and toddlers. A stunning delivery. 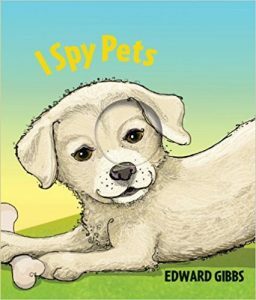 Short, simple sentences depict a young girl and her new puppy as they get to know each other and care for each other. 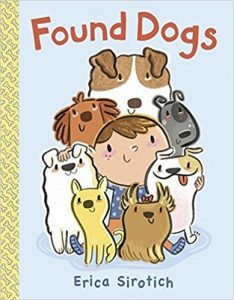 I recommend this one for toddler or preschool storytime – it’s a quick read but will garner lots of discussion about pets. Some funny moments are sprinkled throughout the book. Can’t beat those adorable illustrations. Nice big pages that were built for storytime. This one went over well with preschoolers but I think you could use up to grade 2. I told them my story about grabbing onto my swim teacher’s leg before she lowered me off the diving board while I screamed at the top of my lungs. A great jumping off point for discussing emotions, especially how we overcome our fears. Use in the summer months for extra ummph. You know when you have that Grade 4 class coming to visit and you can’t think of anything to read them that will have them ROFL. Look no further! 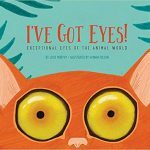 This book fits a needed niche of funny, attention-grabbing picture books you can use for school-age storytimes. I found the older the better – they’ll get more of the humour. A total hit with the preschool crowd. 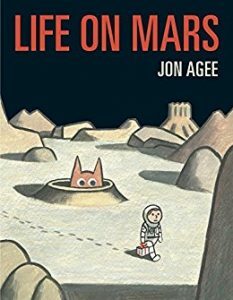 First we sang Zoom, Zoom, Zoom then we read this book about an astronaut determined to find life on Mars. It’s one of those books where the audience knows the secret that the character doesn’t which the kids find hilarious. Perfect amount of text per page for a storytime. Toddler storytime, I am calling your name! 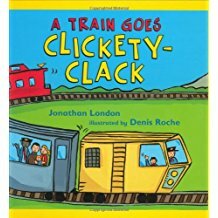 This book was pretty much built on how toddlers acquire language. It’s got the repetitive phrase (which you can change to any person! Even a child’s name! ), the labeling of objects, and the big beautiful illustrations. I’ll be using this one for years to come. Is there a more Vancouver book? So many people here live in apartments and high rises. As you move up the floors, kids get a chance to guess who is making all that noise. It is required of you to sing The Elevator Song as soon as you finish this one. 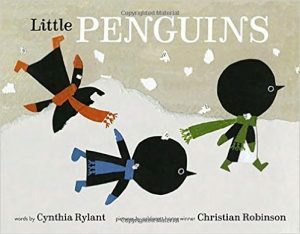 The concept of this book is simple and beautiful. Follow a little girl as she points out all her current favourite things. The language has a nice rhythm and the amount of text works for as young as 1-year-olds. The cover captivated me. 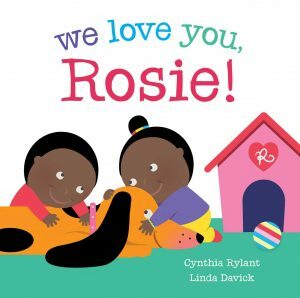 A gentler read that is perfect for the end of storytime. I’m always hesitant about books about zoos, but this one doesn’t feature the zoo at all until the last page and even then not heavily. Use with babies and toddlers – it’s short, sweet, and interactive. It’s got good repetition and you can talk about the importance of play with caregivers after reading it. Cabrera’s a storytime staple. The interactive book trend continues and I’m not complaining. 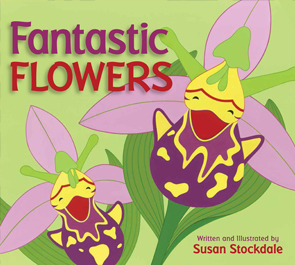 Kids love to tap, clap, and wave while you read and watch the flowers bloom. 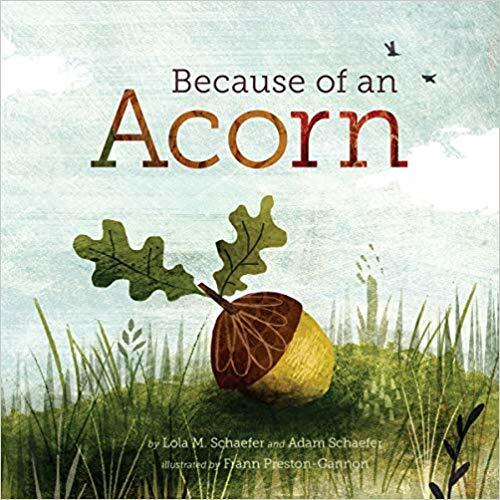 This is a secretly STEM book too – it’s all about a plant’s life cycle. Even with big groups where it’s too hard to have every child touch the page, you can still do some of the actions as a large group. 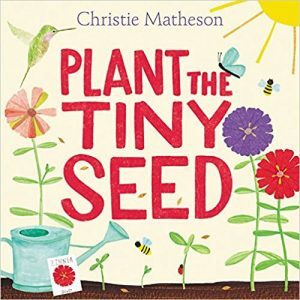 Grab all of Matheson’s books for your storytime shelves. Perfect for toddlers and preschoolers, this is an active one. Have kids do all the actions with you – clap, stomp, shake, cheer. 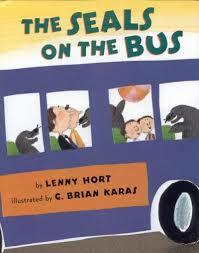 I had one preschool class stand while we read the book to make it extra fun. Follow up with Let’s Get the Rhythm. An all-star team created this one and it shows. 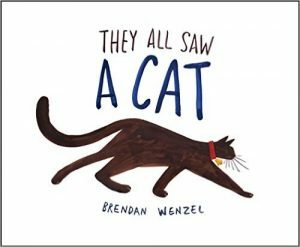 A good choice for toddlers or preschoolers, this book features adorable cats and math all in one. I am dying to make a felt story version of this one – someone beat me to it, please! Take your time when reading it to practice counting and basic addition. Works best with smaller groups due to the size of the pages. 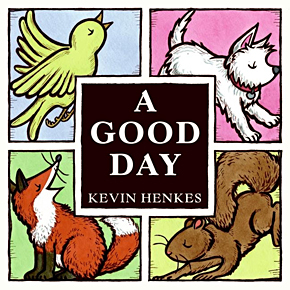 Perfect for babies and toddlers, this book expresses thanks to things in our natural world such as bees, clouds, the sun, and sheep. On every other page you get to utter a simple thank you to those things. 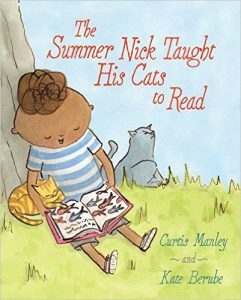 Simplicity at its best and perfect for building mindfulness into storytime. I bought this one for my 4-year-old nephew and we had to read it multiple times and then tell it orally over and over again. 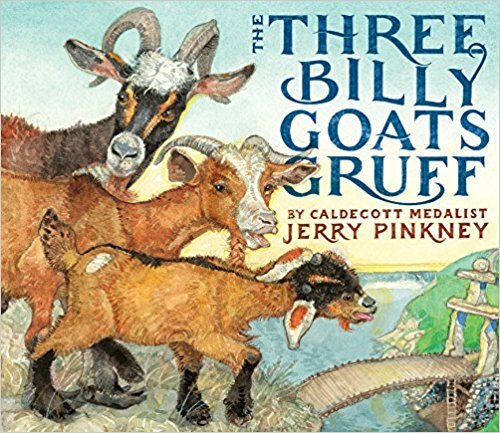 Pinkney brings his award-winning illustrations to the classic tale. Highly recommended for preschool – grade 2 storytimes. Getting the kids to act out the trip trapping will help hold their attention. I like using the one story, may ways method and retelling it with a felt story the next week. 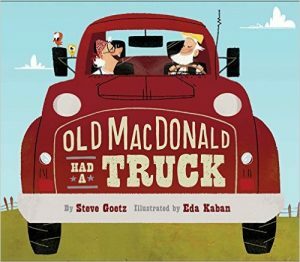 A funny tale of friendship and working together. 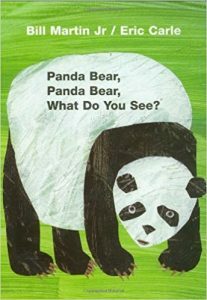 This one works best with preschoolers – point out the words as you read to incorporate some print awareness. 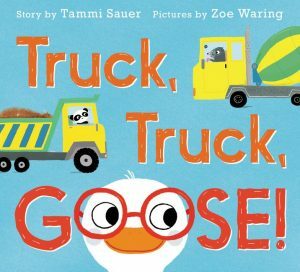 Since a lot of the story is told through the illustrations, take your time as you read and ask questions like, “where is goose going?” or “what happened to the truck?” If you have a small enough group it’s fun to play the classic game when you’re done reading. A good one for babytime, especially if you have a smaller crowd as the book itself is on the smaller side. 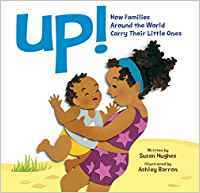 The phrase “upsy daisy” is on every page and you can have caregivers lift babies as you read. I loved how it showed people outside of the parents (aunties and uncles, yay!) who care for children. 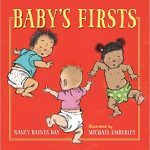 A truly diverse look at something every baby experiences. I have been excited about this book since I found out it was being published. 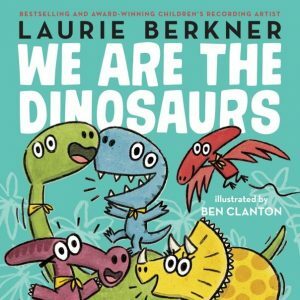 I love Berkner’s songs for storytime and this is one of her top tracks put into picture book form. If you know the song, you can sing the book. The side conversations the dinosaurs have can be skipped if you have a restless group or hammed up if you’ve got preschoolers. Lovely bright, big pages are an added bonus. I love Davick’s Say Hello for storytime and am happy to see her partner up with Rylant for this storytime gem. Explore opposites with the help of an adorable pup. 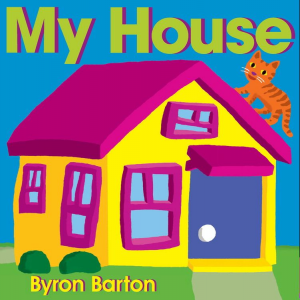 The repetitive phrases and bright, bold illustrations make it an A+ choice for toddler storytimes. There are so many moments in this book that kids will relate to. 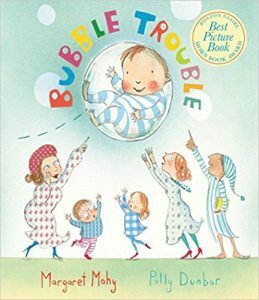 The length makes it good for toddlers, but preschoolers will have the most fun talking about the situations as you read. Explores the concept of being wet – the good and the bad. The last page features wet kisses from a dog and cat which sealed the deal for me. 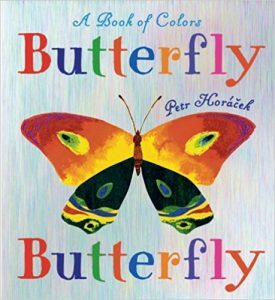 Nice big pages make this an excellent choice for large storytime groups. A little boy searches for his bear while the audience sees glimpses of the furry animal on each spread. A surprise ending adds a nice twist. 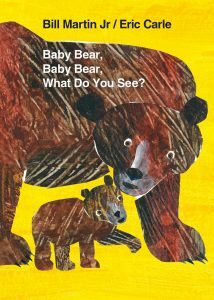 The amount of text makes it passable for toddler storytime, but preschoolers will have the most fun pointing out the bear one each page. I really need to do a better job at incorporating non-fiction into storytime. This one was a total hit with preschoolers, not surprisingly. Not only do they get to guess about poop they also get to learn about different animals. Don’t worry about reading every single fact if the group is squirmy. Caregivers can check out the book and spend hours on the details. 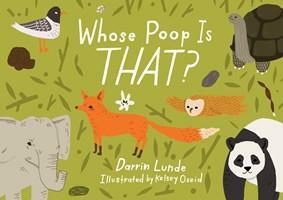 Poop books never stop being popular. 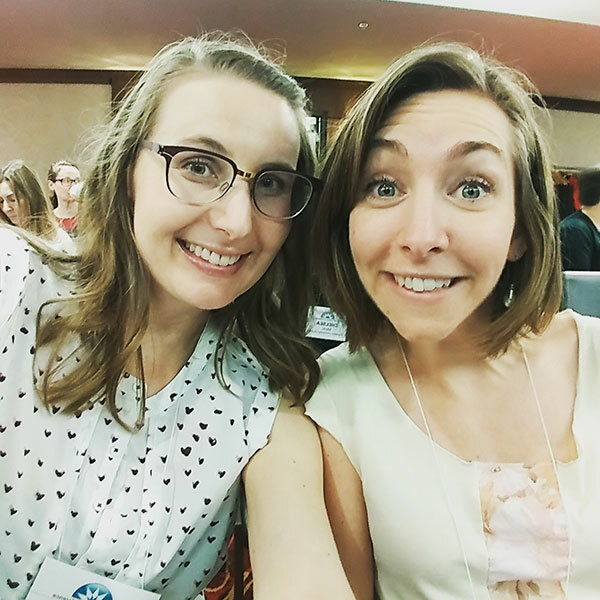 So fun fact – Jane and I are children’s librarians in the same library system! 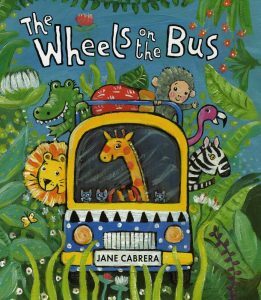 Jane wrote the perfect storytime book with this metaphorical journey through a child’s day. A little girl’s actions are compared to different animals and you could totally act them out while you read. 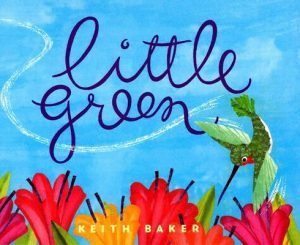 The short text makes it a great choice for toddler storytime or a restless group of preschoolers. Bonus: I can tell families about the local connection! I’d read this one for any age but it’s got just the right amount of text for babytime and toddler storytime. 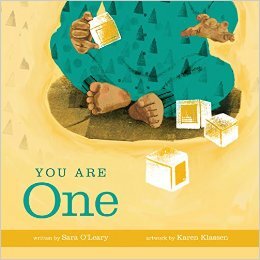 This book is needed in the world and can help foster discussions around supporting each other and fostering empathy. 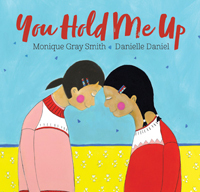 Smith and Daniel are Indigenous women who have brought us the perfect storytime book that portrays First Nations people in the present day. After reading you can ask kids how we can hold each other up.